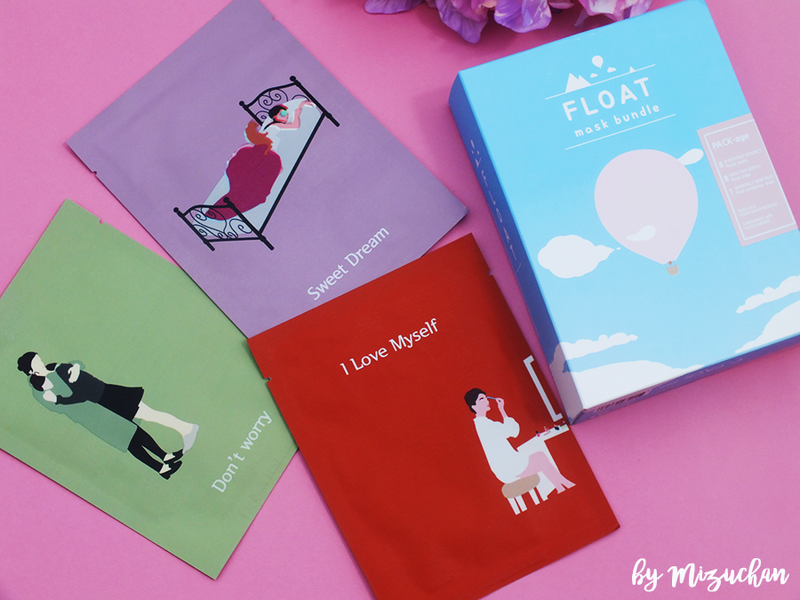 I'm Mizu and I'm a beauty blogger originate from Malaysia. I'm very passionate about beauty and I'm addicted to korean cosmetics. 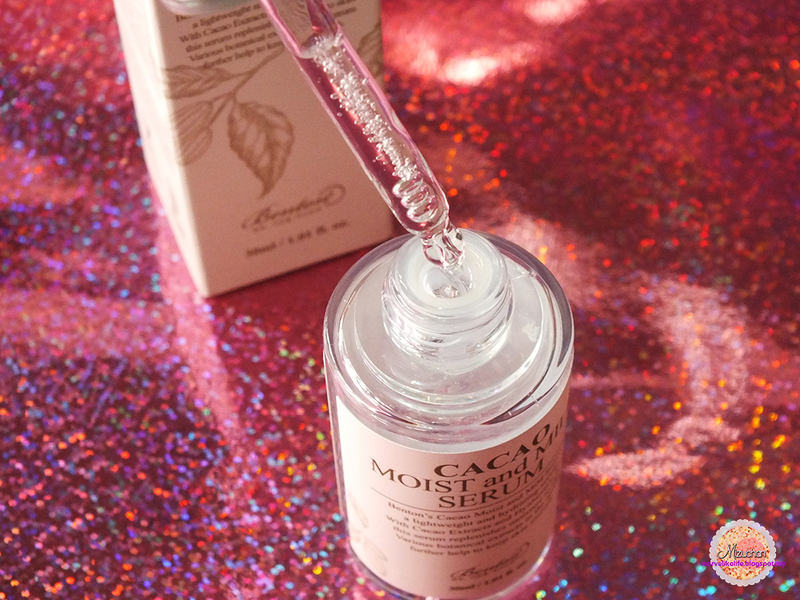 I love to try new beauty products and discover the secrets behind beauty. 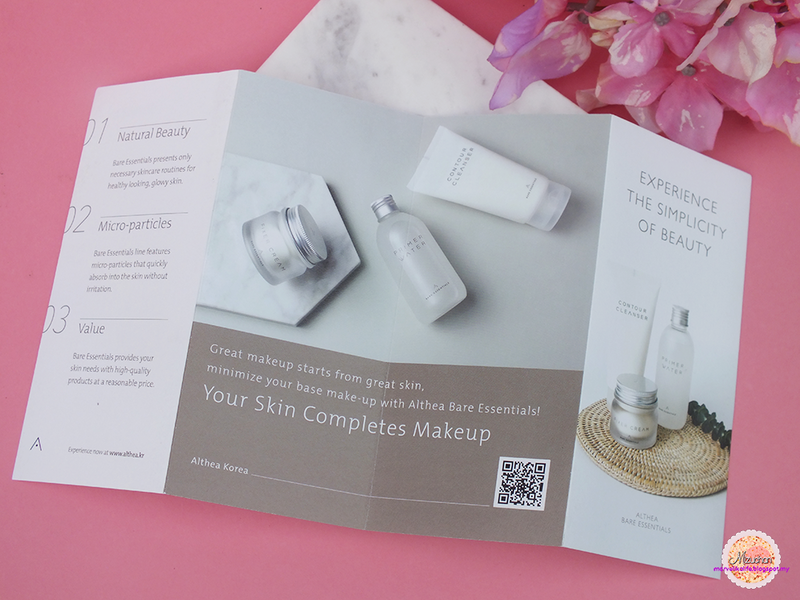 [REVIEW] Althea Skincare Line "Bare Essentials"
So recently AltheaKorea is releasing the shop's first ever skincare line named "Bare Essentials" which is aiming at the simplest skincare as base makeup because sometimes complicating your skincare won't do your skin good. I was lucky to become their blogger and trying this first hand. 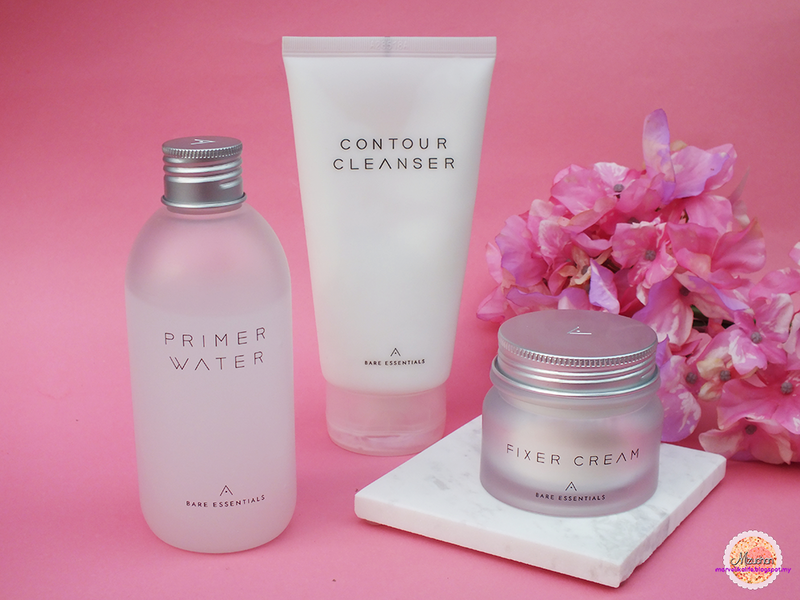 There are three products in this line which is the Contour Cleanser, Primer Water, and Fixer Cream which is the usual steps that you can find to complete a skincare routine. 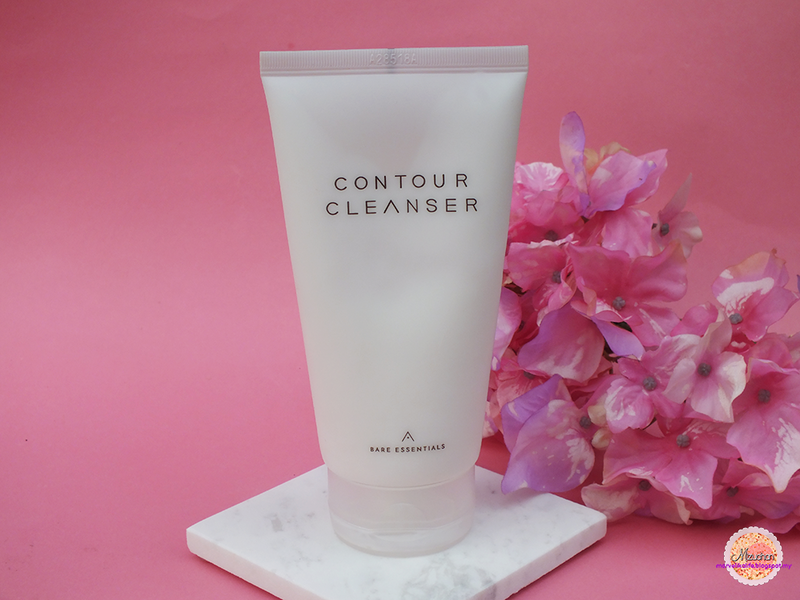 The first product, which is also the first step in the skincare line is the "Contour Cleanser"
A rich and foaming cleanser that removes impurities while improving blood circulation for that V-shaped look. 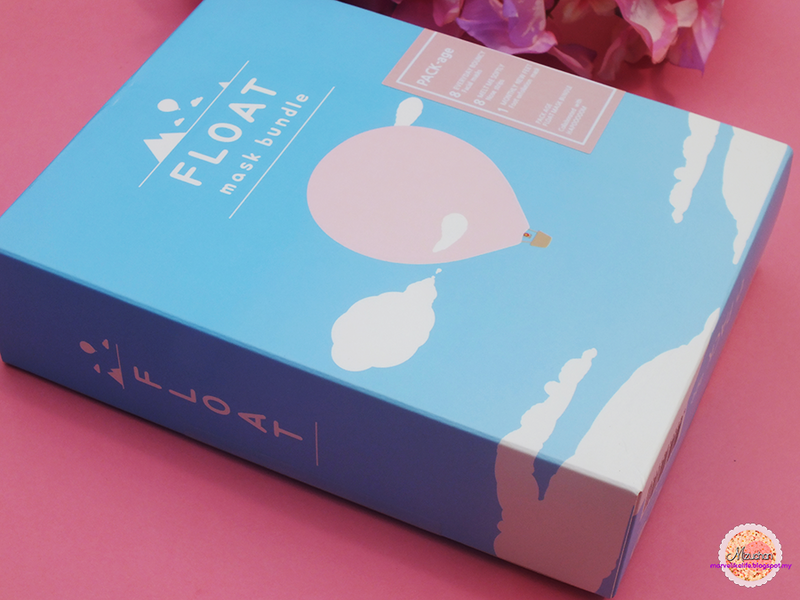 It contains microcapsules to gently exfoliate dead skin cells and leaves the skin feeling cool and refreshed. 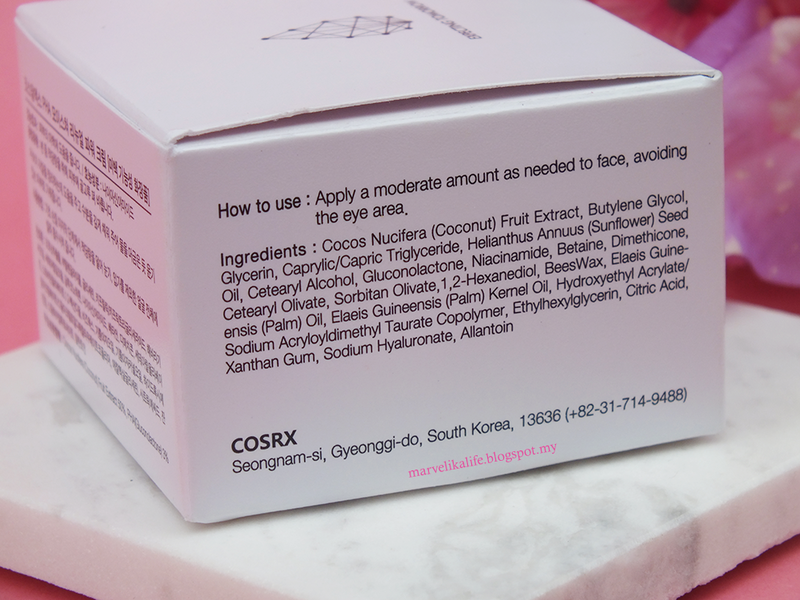 The cleanser is very thick in texture and I guess it was due to the presence of cornstarch as one of the ingredient. 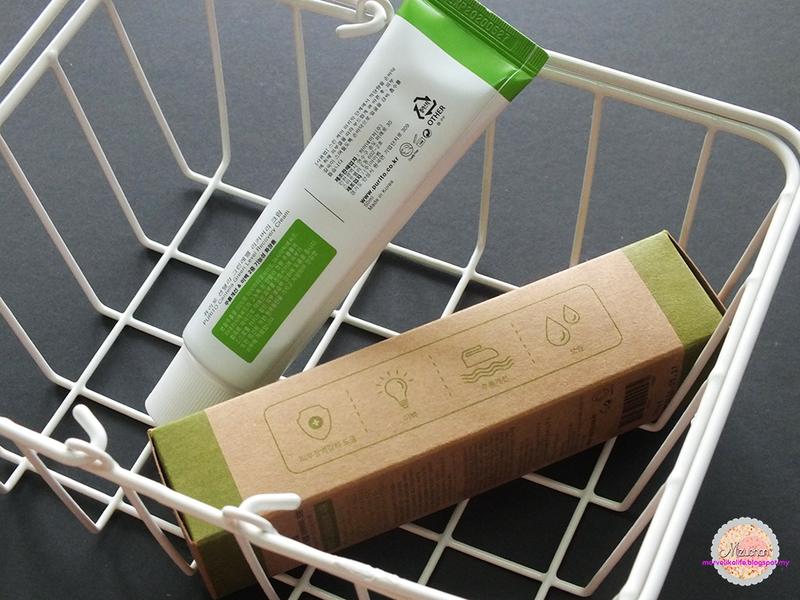 It has this microcapsule that will dissolve while rubbing the cleanser on your face. 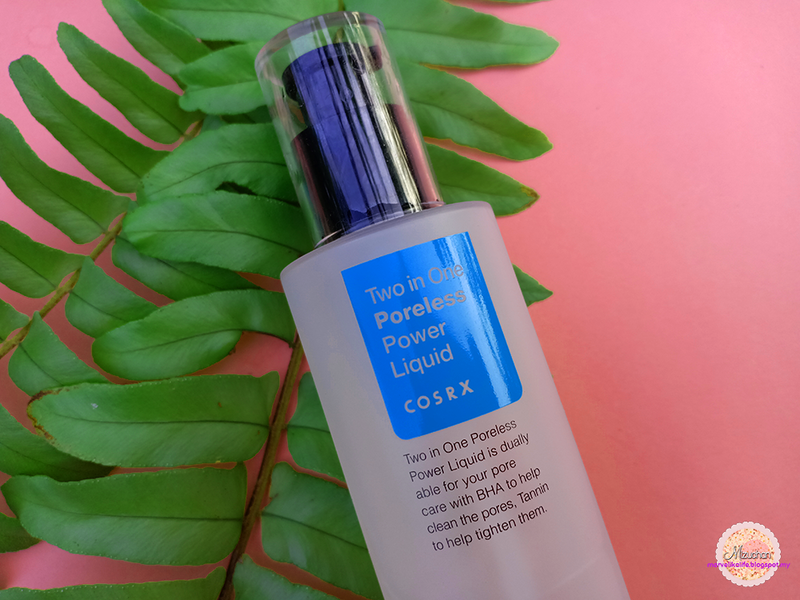 Because the texture is quite thick and I only need a pea-size amount of it to cleanse my face as it lathers quite easily (caused by Cocamidopropyl Betaine). 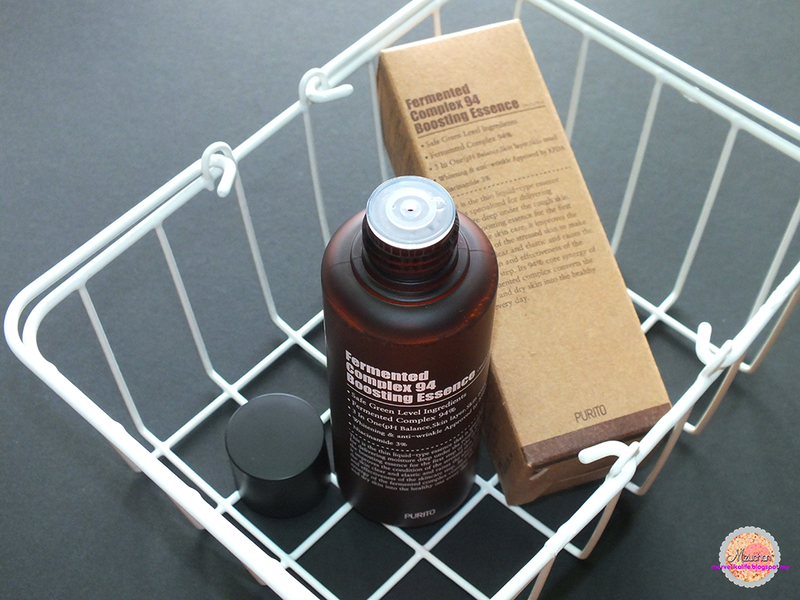 It is quite a deal for RM23.00 cleanser and a big one at that because it will last for quite long. As I cleanse with this, I do notice that it's quite minty because the presence of menthol in it and it has quite a strong scent to it which I believe came from the Lippia Citriodora Leaf Extract and Fragrance. 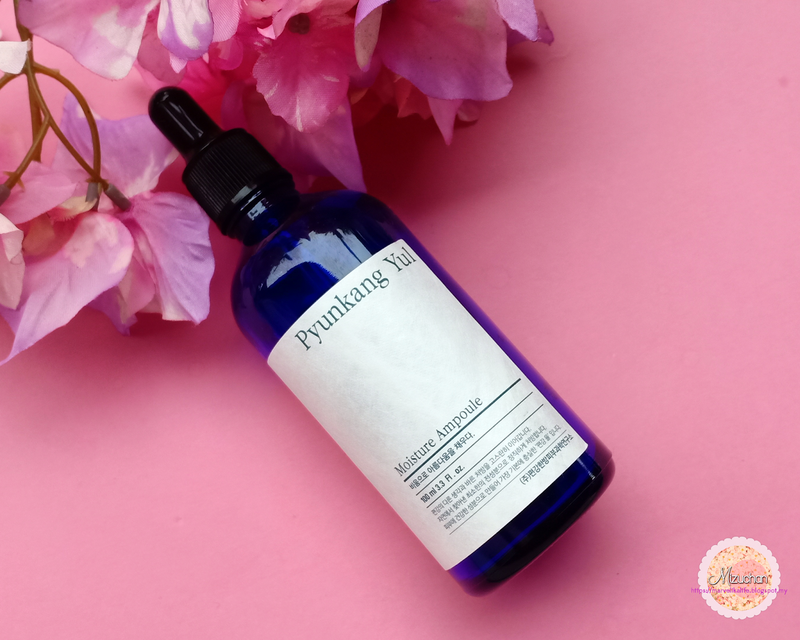 As written in cosDNA, the Lippia Citriodora Extract is an ingredient that acts as a perfume and astringent and it is quite hazarding since it is on the red-level (7). The scent is too strong in this one and I have not used much-scented skincare these days so it does bother me. As for the performance, I do notice that it quite sucked on the natural moisture on face after I was the cleanser off my face. You know the feeling of the dryness like those pulling feels? It's literally that. 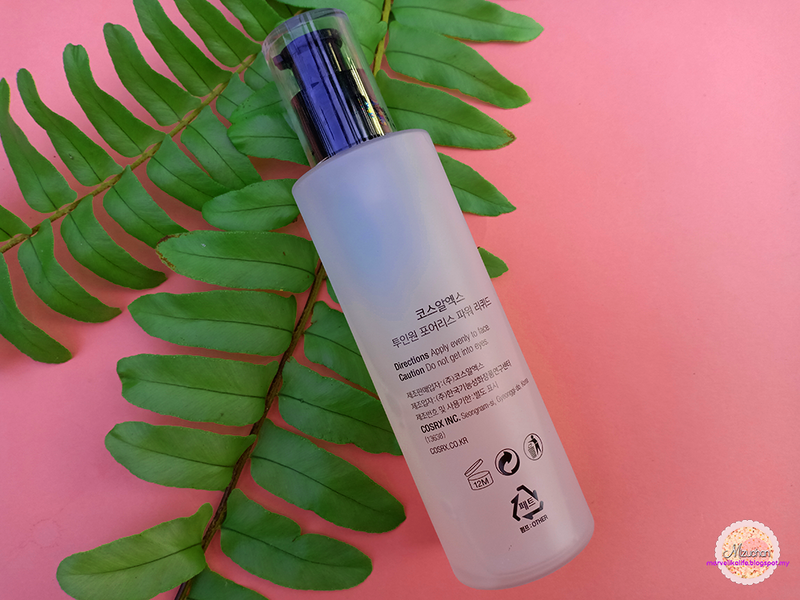 Also, I'm not sure which ingredients caused this but every time after I use this cleanser, the sensitive part of my skin which is along my temple hurts, although there isn't a physical thing can be seen like redness or such but it does feel hurt. 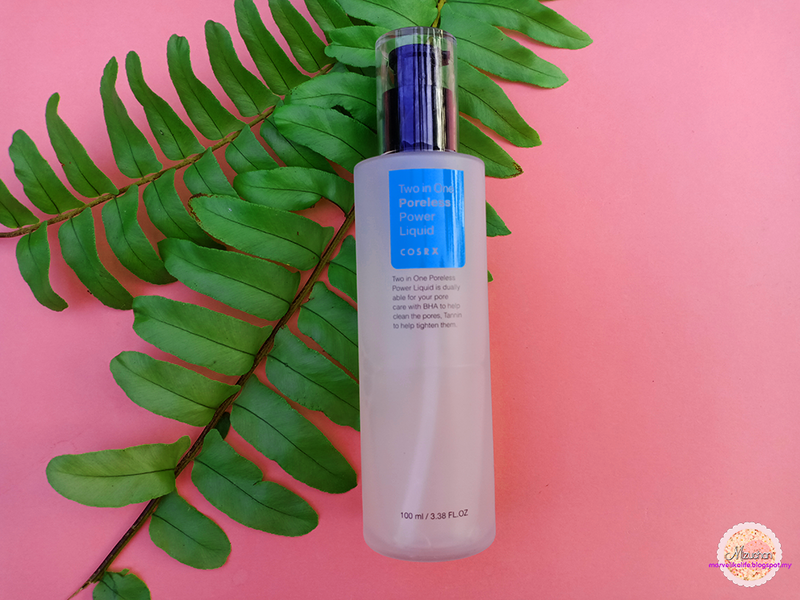 However, this wasn't the worst cleanser I've tried because it doesn't do those "squeak-squeak" thing although I'm hoping that they would revise some of the ingredients that can be used by people who have sensitive skin. 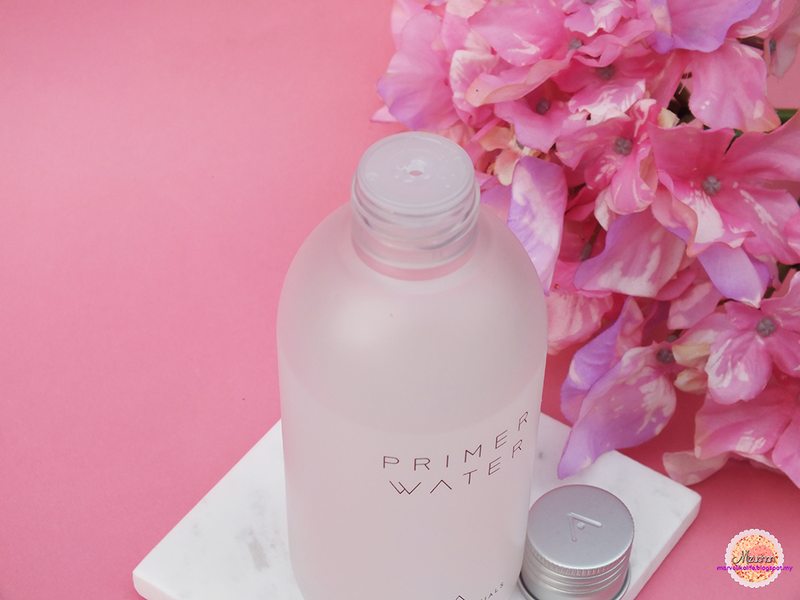 The next product is "Primer Water"
Smooth, hydrating and ever so slightly balm-like, this bottle of wonder penetrates into the layers of the skin and making it a smooth canvas for products to come. 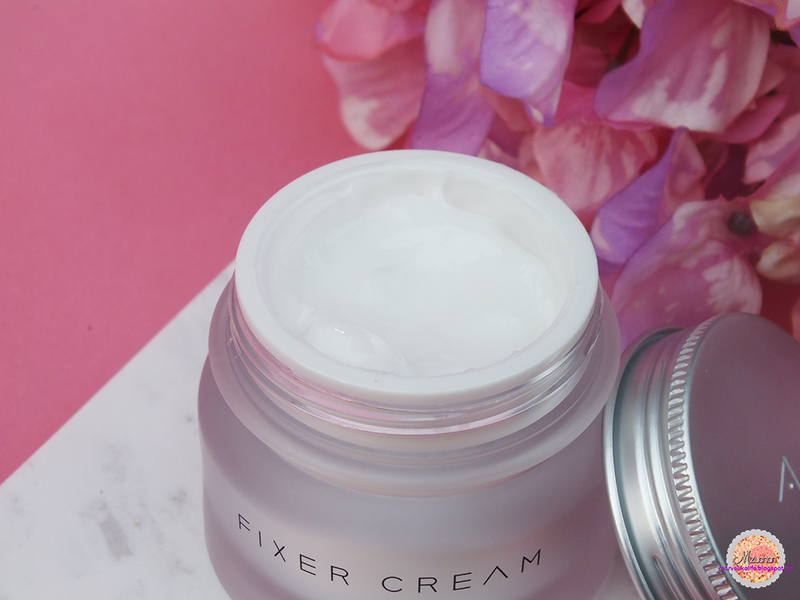 Made with patented dewdrop technology, it smoothes and evens out the skin, prepping it for the next step and leaving the skin in a youthful glow. 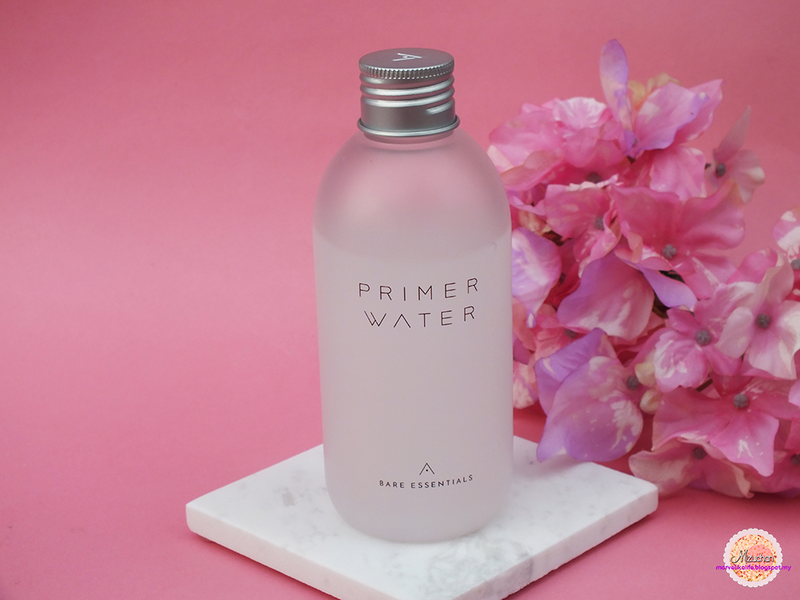 This rich primer water does feel like an emulsion to me. 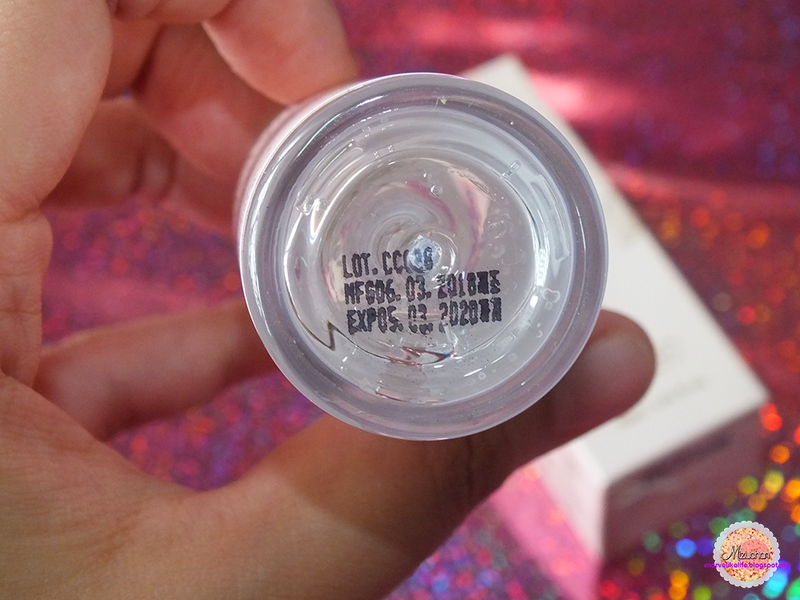 It's thicker than most essence and it is definitely closer to an emulsion texture which is liquidy but still retains a weight to it. 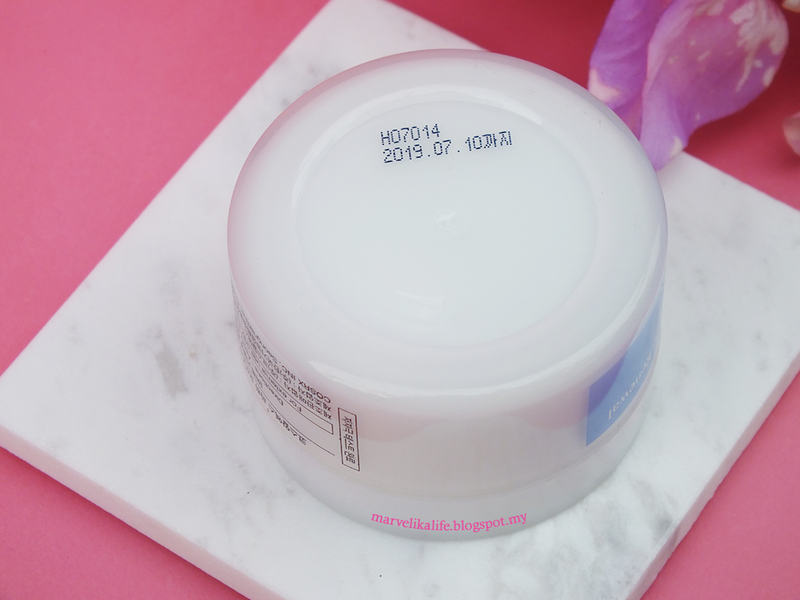 According to cosDNA, the ingredients are pretty much safe with the medium hazard ones are the Polysorbate 20, PEG-60 Hydrogenated Castor Oil and Fragrance (3 to 4). Do note that the alcohol is the fourth highest ingredient as well. 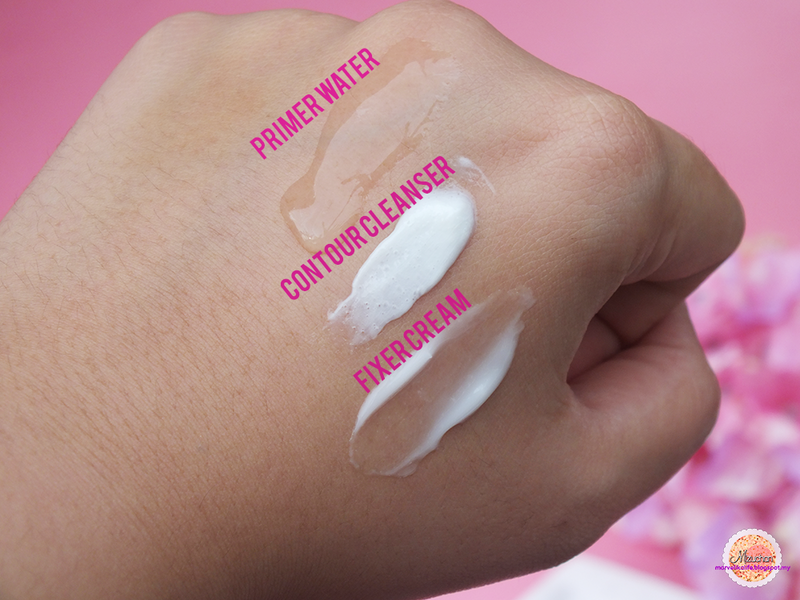 I usually used this primer water by pouring the desired amount of my palm, rubbing it between my two hands and dab it on for a few seconds to let the emulsion absorbs into the skin. 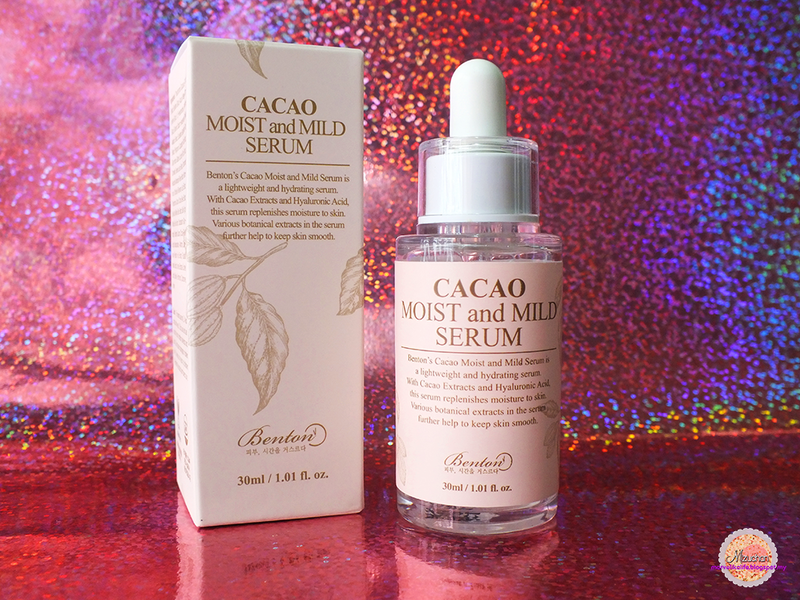 I do see a slight brightening to the skin after some time (because of Snow Lotus) and the dewdrop technology which is to provide moisture is definitely a plus! 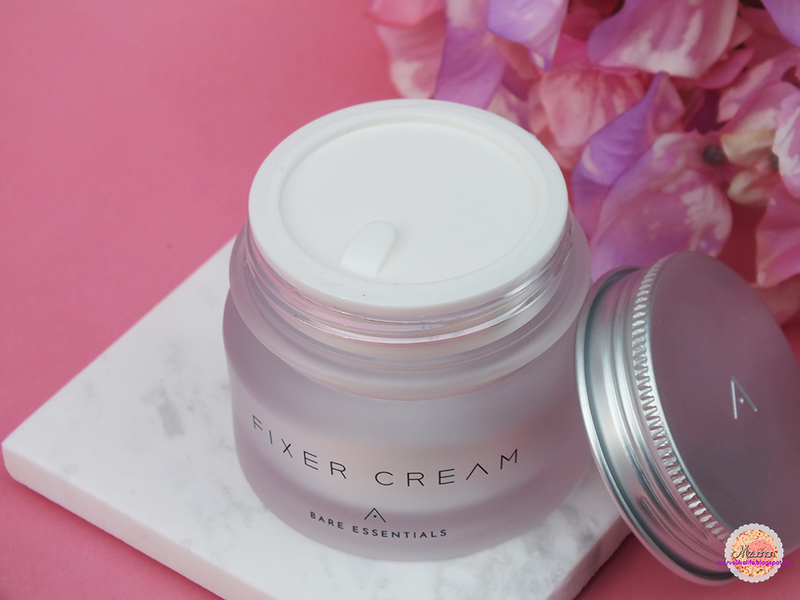 The last product is the "Fixer Cream"
Powerful moisturizing properties are packed into this little jar that provides the skin with hydration for up to 24 hours for a fresh, revitalized complexion. 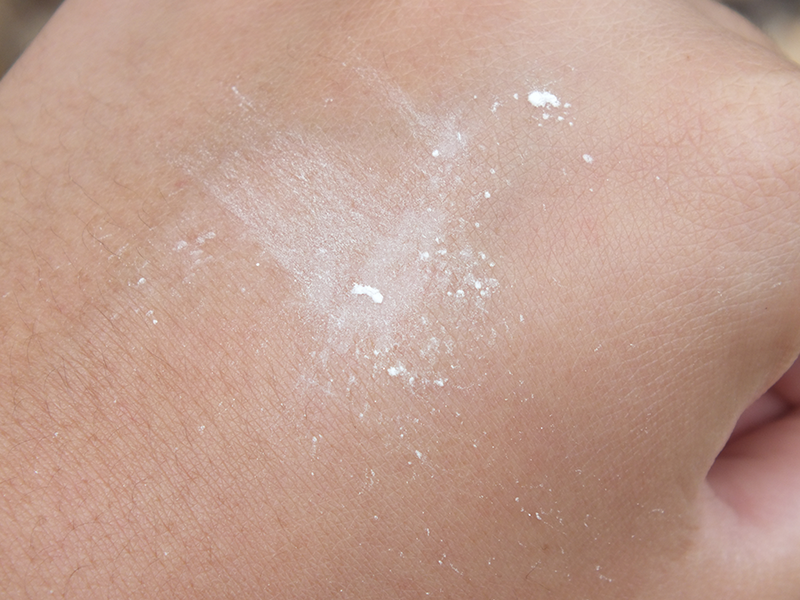 It penetrates deep into the layers of the skin to plump them and it has non-sticky finish once absorbed. 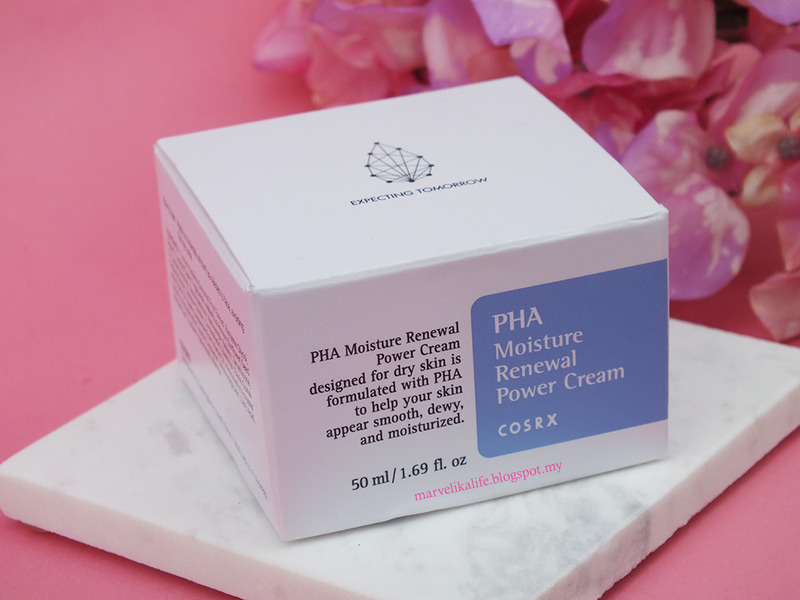 This cream is so silky in texture and it feels so light on my skin and it hydrates pretty well too. 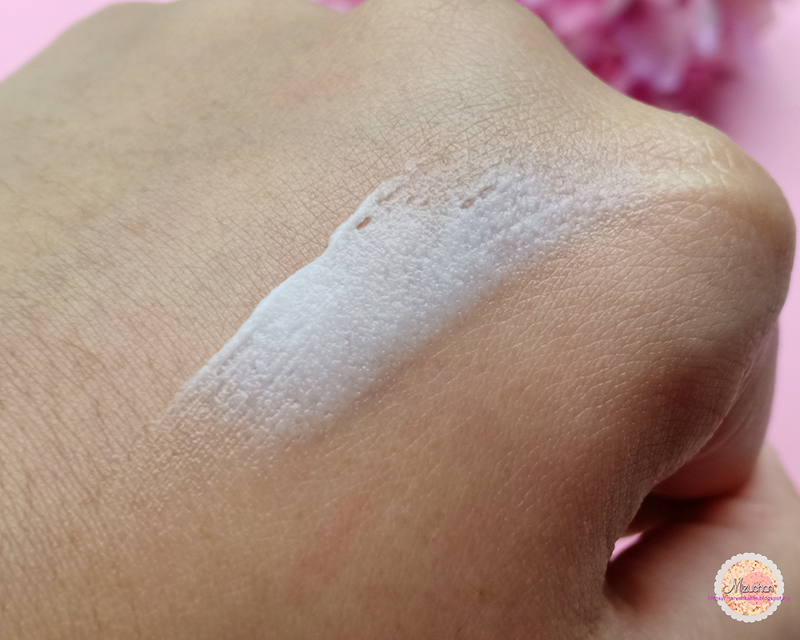 Since it is light and easy to spread on the skin, I prefer to wear it on the day because it won't interfere with my foundation texture. It is not sticky as it claims although this too has a strong scent to it. 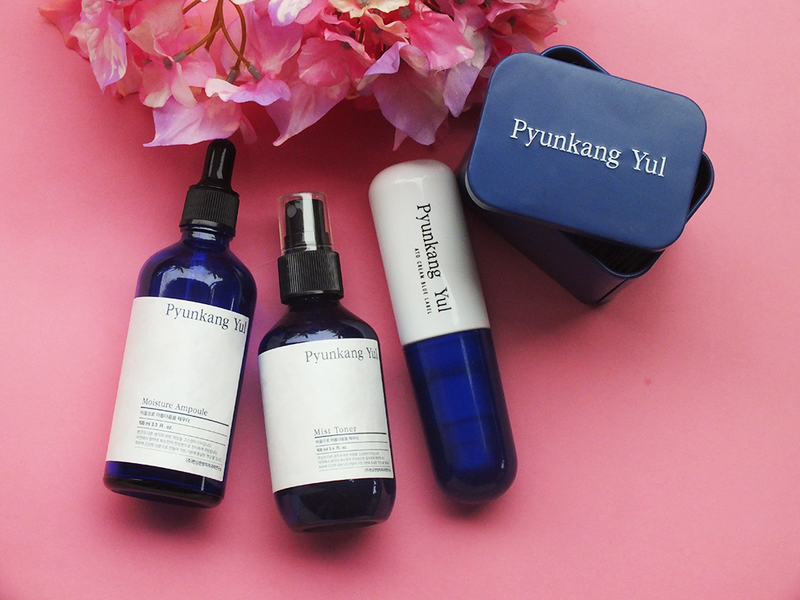 From the ingredients, it seems that there are a few that could be acne triggering such as Olea Europaea Fruit Oil, Cetearyl Alcohol, PEG-100 Stearate, and Butylene Glycol while Cyclopentasiloxane, Polysorbate 60, PEG-100 Stearate, Polysorbate 20, and Fragrance are a medium hazard. Although there are a few that could be acne triggering, so far I did not experience any breakout while using this product nor it did inflame my skin so I think that's good. 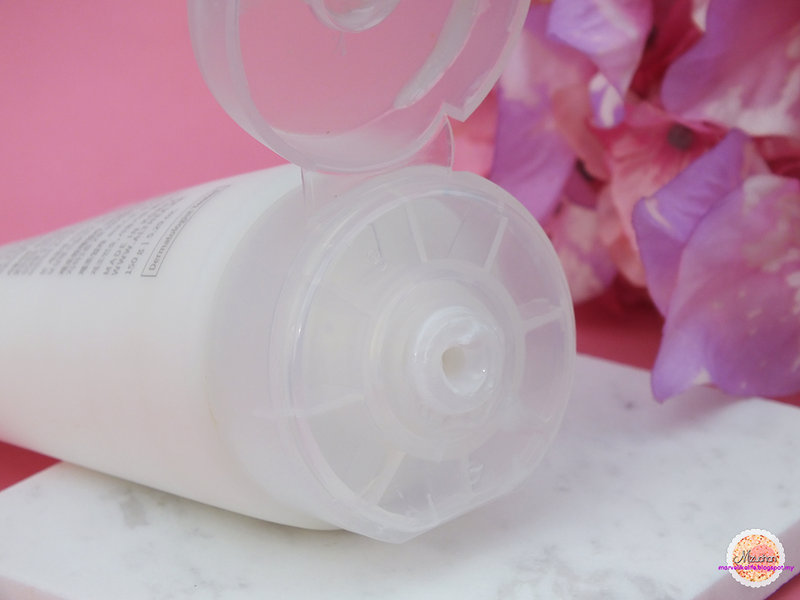 The product also claims to be supplying 24-hour hydration and although I did not use this for the whole 24-hours, I do think that the hydration lasts pretty long! 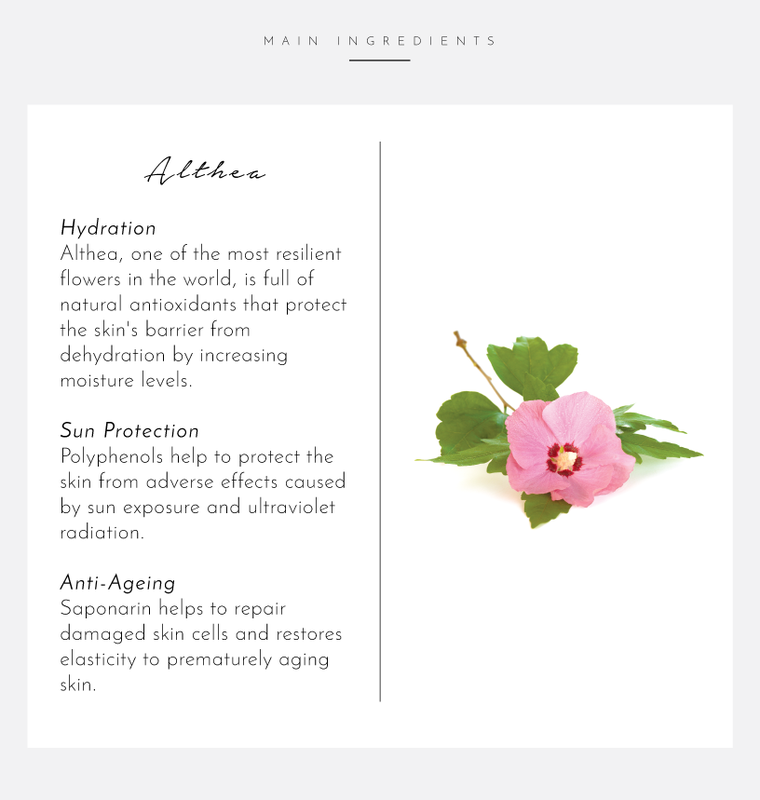 It also contains my all-time-favorite Centella Asiatica Extract for wounds healing and skin improvement. Bonus: Aside from sending the slab of marble, Althea also sent its hand mirror! How cute is that?! 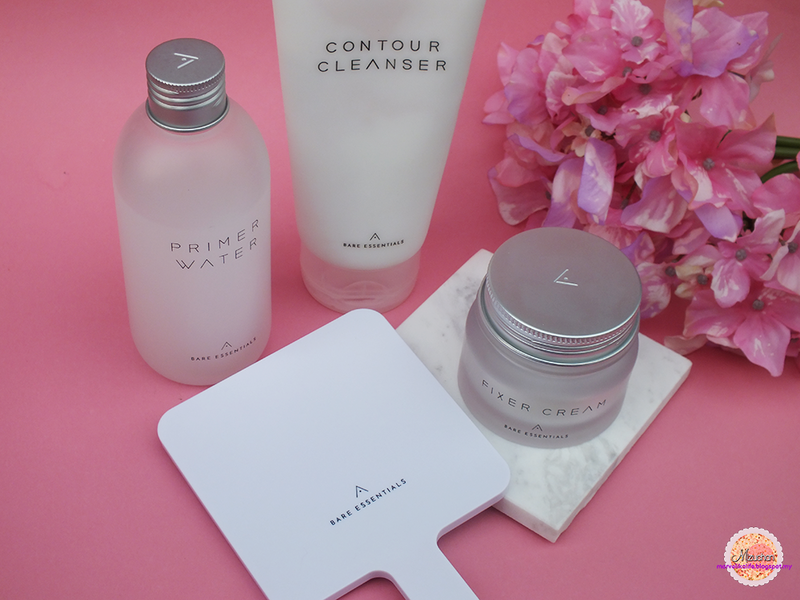 So today I'll be reviewing these awesome products from a Kbeauty brand called "Purito"
I saw the brand on Instagram and would never be thought that they'll contact me to gift me all these three products that I personally chose from their website. 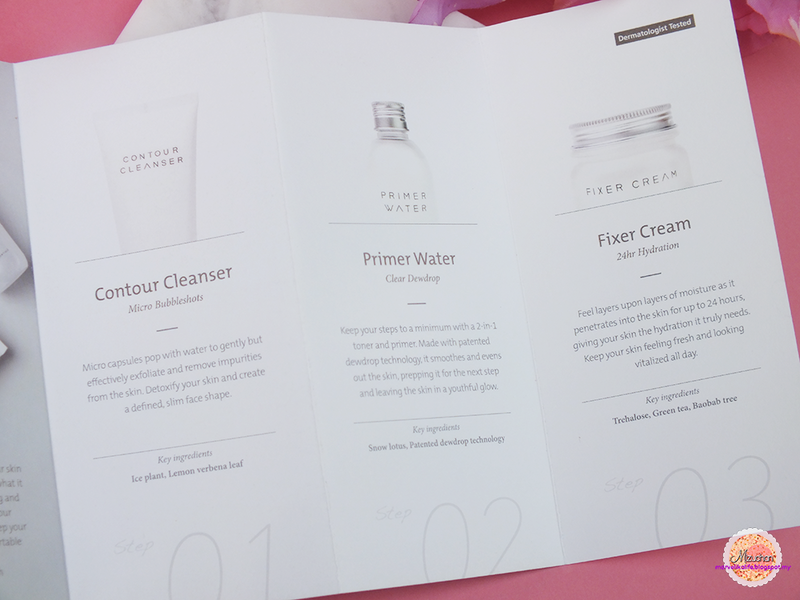 In all honesty, they would like me to review these without any bias towards the products and giving my feedback since the brand is fairly new. 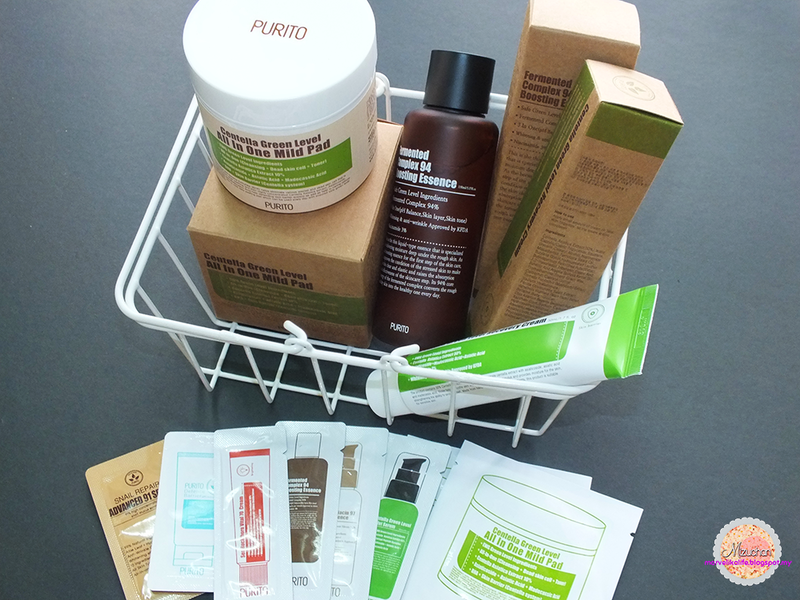 If you haven't known about Purito yet, they are a brand who practiced safe and honest ingredients in their products and the ingredients used is not all that useless fillers but give benefit to your skin. I have tried all these products together in slightly more than a month and now I can share with everyone of what I think of them. 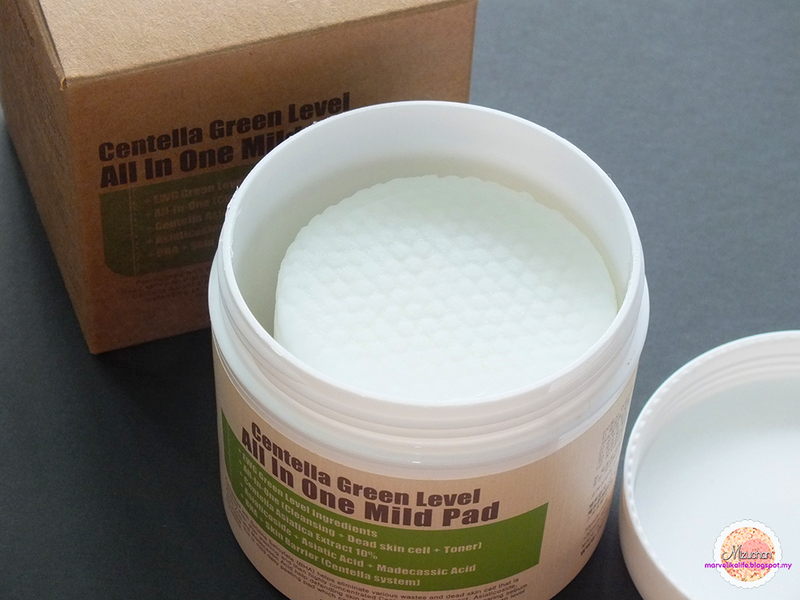 Let's start with their "Centella Green Level All in One Mild Pad"
Centella is such a trendy ingredient these days and I have a lot of trust with it because I see the results myself and it works wonders because Centella or Cica functioned as wounds healing, improve blood circulation, helps to prevent scarring and prevent future blemishes. 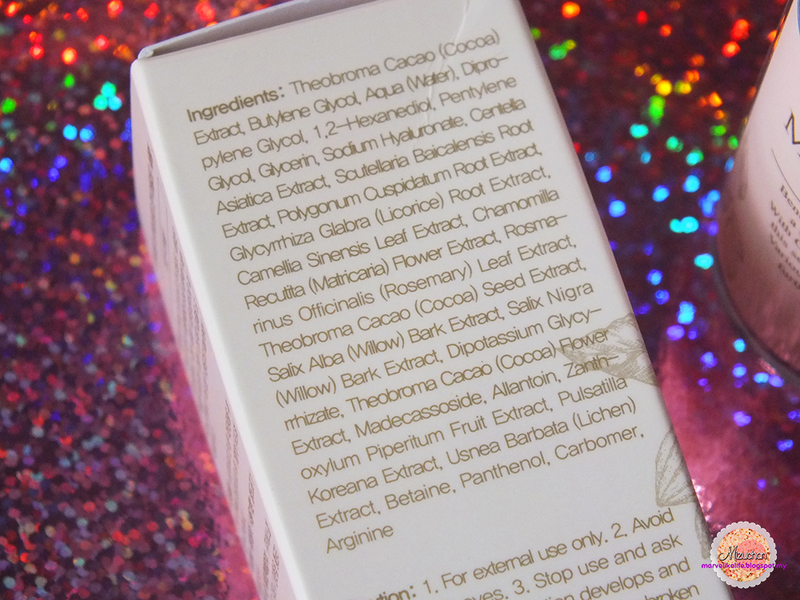 So when I saw products that do contact this magic ingredient, I couldn't help but be obsessed with it. 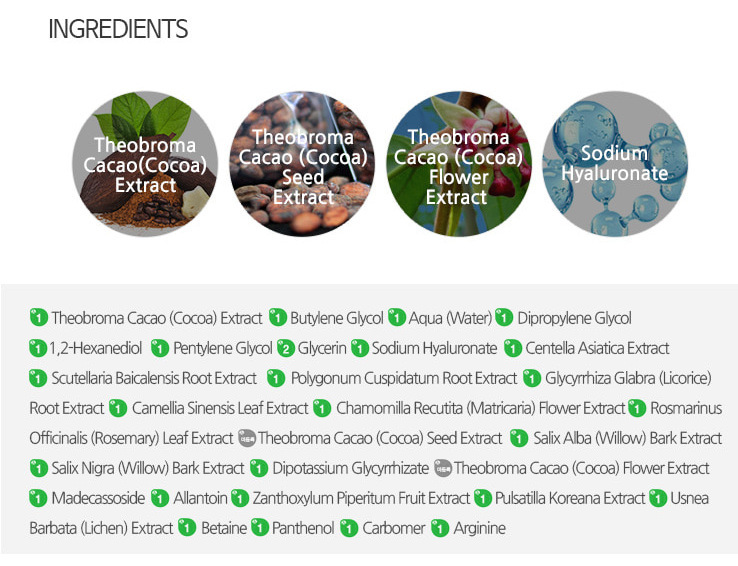 By the way, these ingredients above are analyzed by the cosDNA and you can see that all of it are green level! 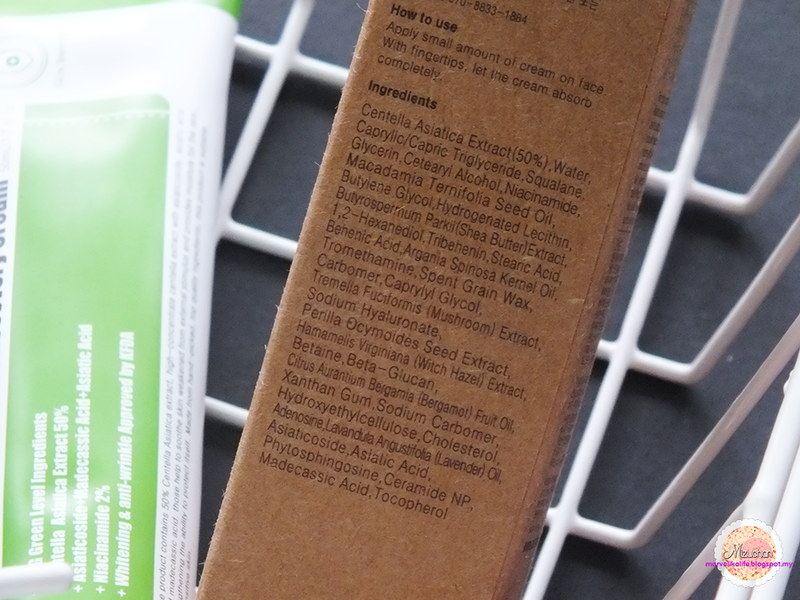 Other ingredients that should be noted is that it also contains BHA which works deeper in the skin. I usually use these as to remove any residue after my double cleanse and it did! I can see some yellow dirt on the pad after use. 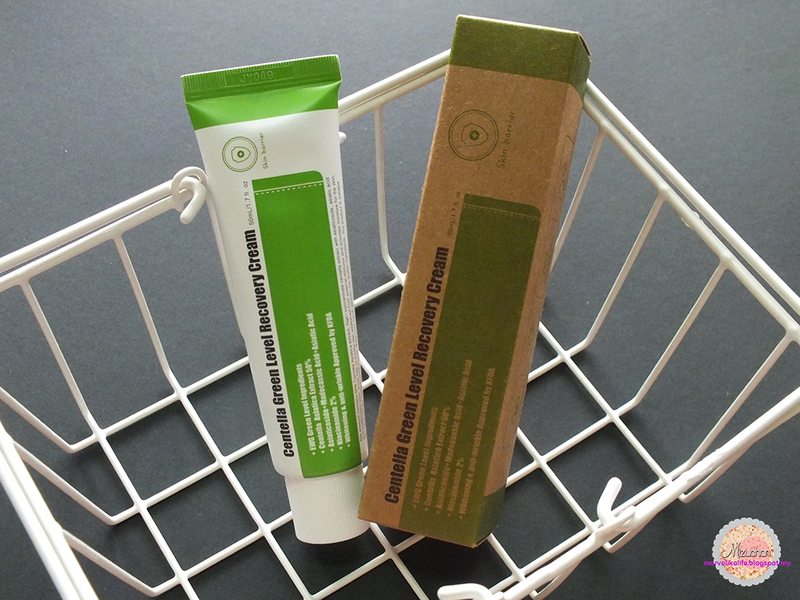 Other uses would be exfoliation especially to remove dead skin from my lips and to hydrate my skin after cleansing. 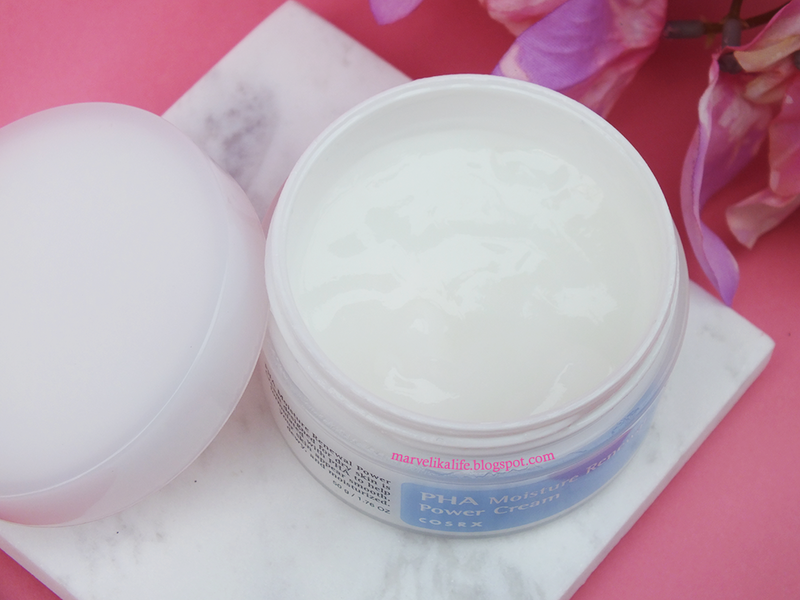 I find that it calms my skin, keeping it smooth on the surface and did prevent me from breaking out! However, I do find that the pad itself is a little too rough(?) 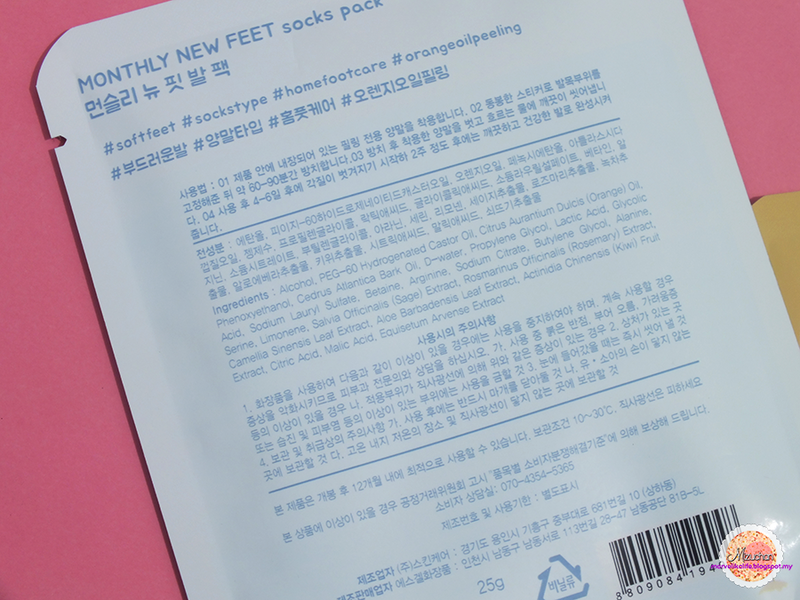 I can see that it is made from pure cotton however it did feel like there is a lot of friction on face especially when I'm a bit rough so be careful and be kind to your skin :D Other than that, there is a scent to this and I believe it did come naturally from the ingredients. 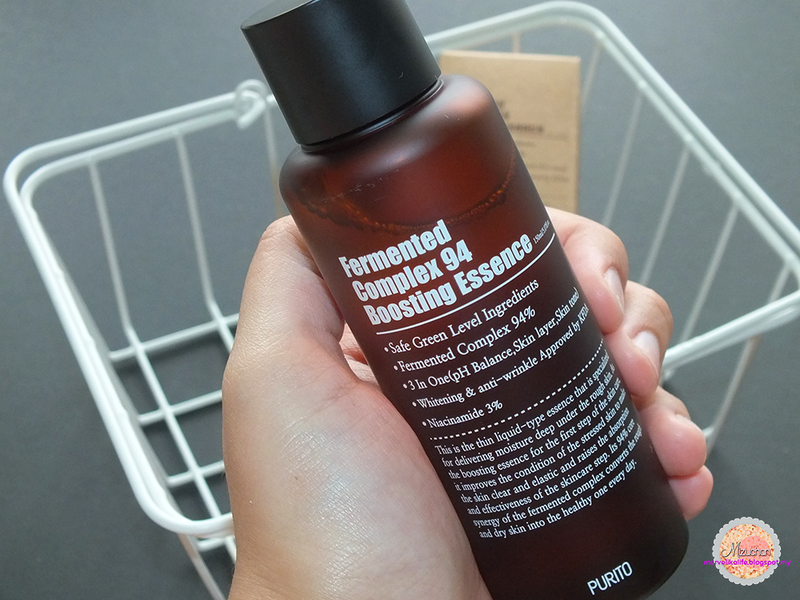 The next product is "Fermented Complex 94 Boosting Essence"
I believe that this product is listed under their bestseller and honestly I can see why! 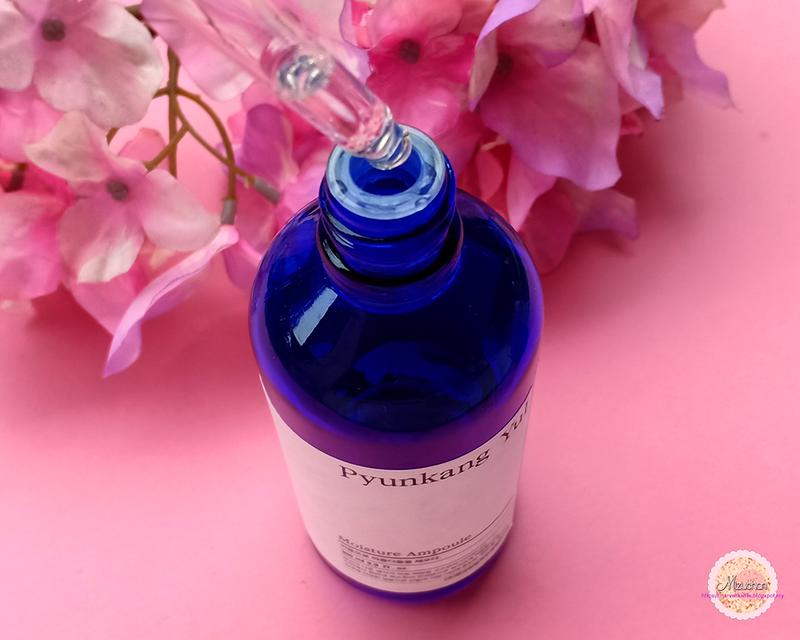 Aside from its amazing ingredients which are the Fermented Complex 94%, it also supplies the skin with a lot of hydration with a few drops! 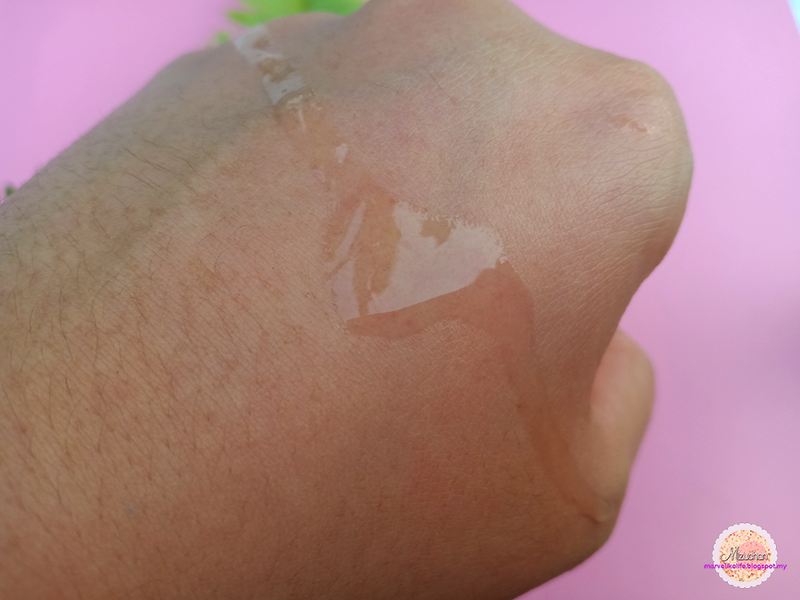 I was so surprised when I tested it out on my hand because I only put a little amount and it already feels so hydrating! 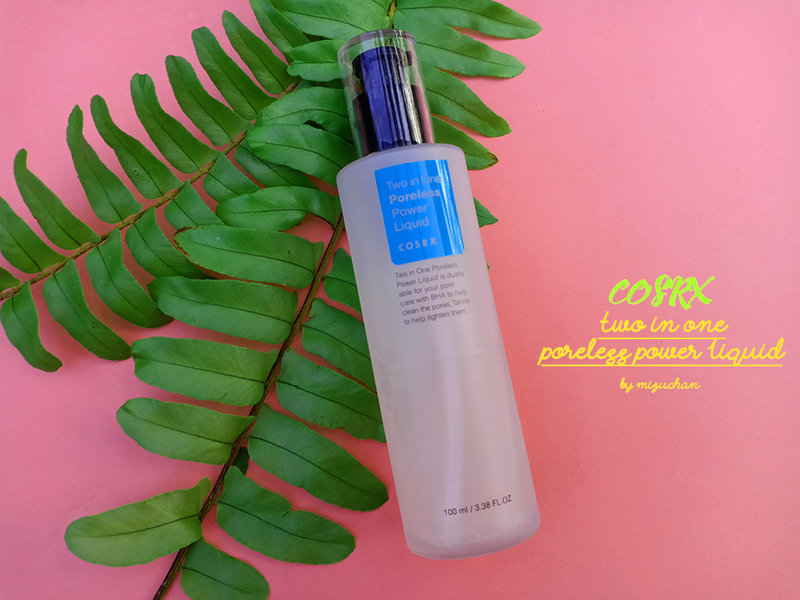 The texture is almost like water however I do find that it also has a little weight to it which is why they call this as an essence instead of toner. 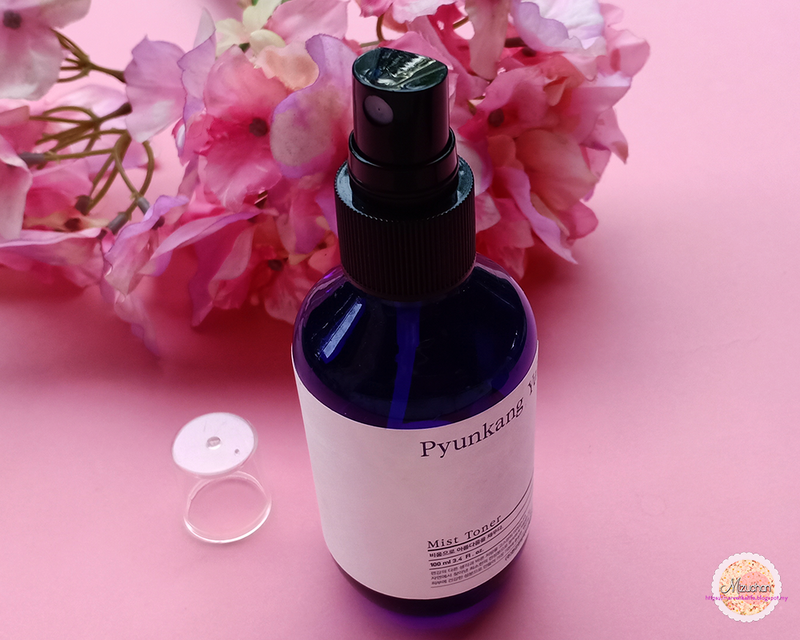 I love that Lactobacillus is one of the highest ingredients because it works better in terms of skin penetration and it also functions as smoothing the wrinkles [Adenosine] and a safe ingredient in whitening the skin. 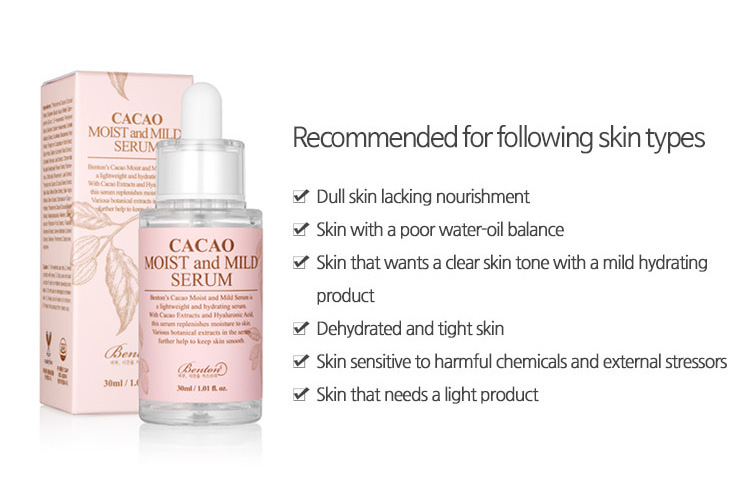 Added with Niacinamide which also function as skin whitening, it boosted the whitening properties. 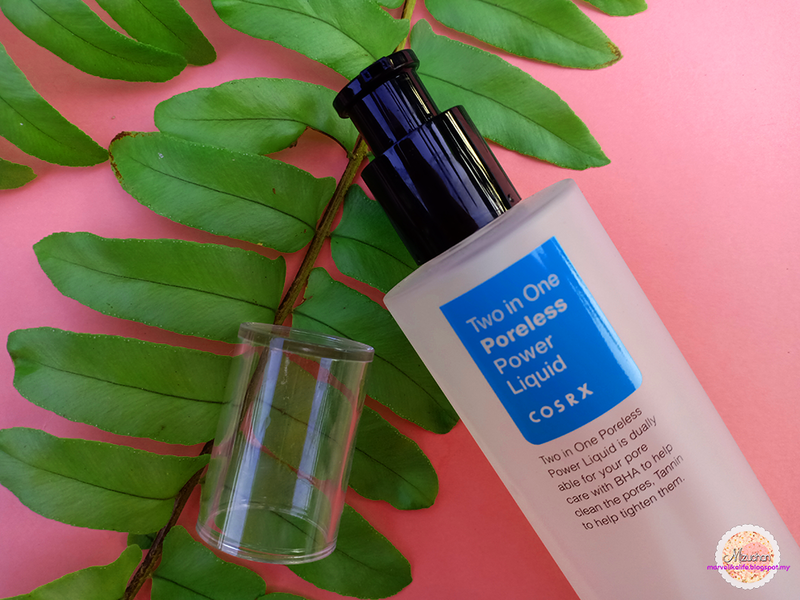 Came in this colorless liquid and after a month of use, I can see that it provides full hydration to my skin and brighten my whole complexion. I usually used this by dabbing it onto my skin for extra hydration. On some days that I felt like I needed more hydration than usual, I could go on with this with three steps and it feels amazing! I definitely recommend this to be used daily as it is not tacky, scentless and perfect for either on day or night. 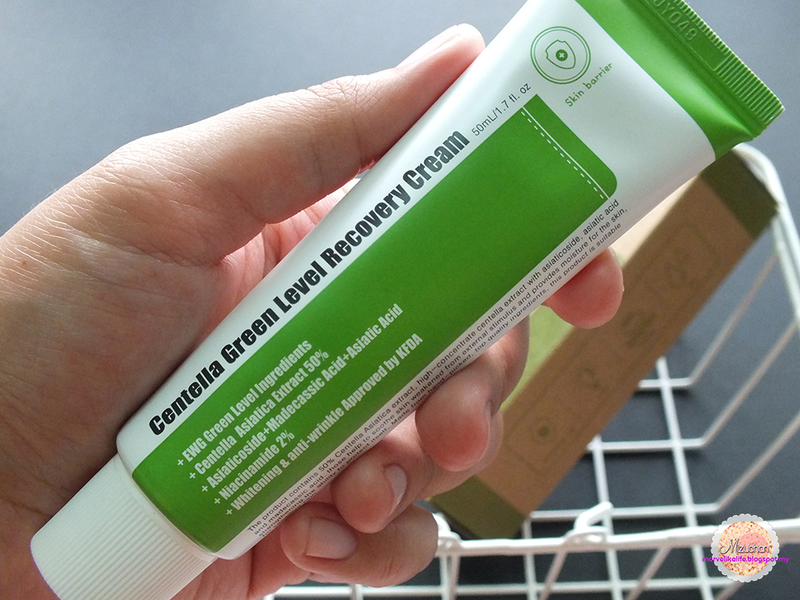 The last product that I tried is "Centella Green Level Recovery Cream"
Since I already chose the pads and essence, why not I end this skincare routine with a cream and when I saw this, I thought this would be a great completion to this routine of all Purito products. 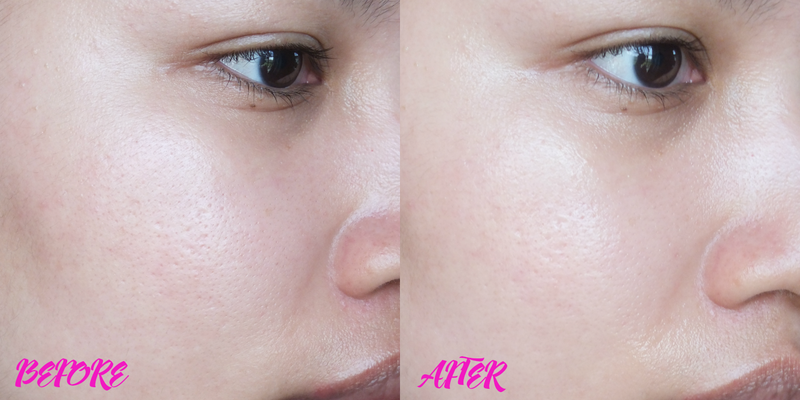 You guys probably knew that I was an acne sufferer and although it wasn't as bad as it used to now (thanks to the incredible kbeauty skincare routine) I do find that the acne still came back from time to time depending on my body hormonal changes so I was constantly looking for product that can keep those under control. 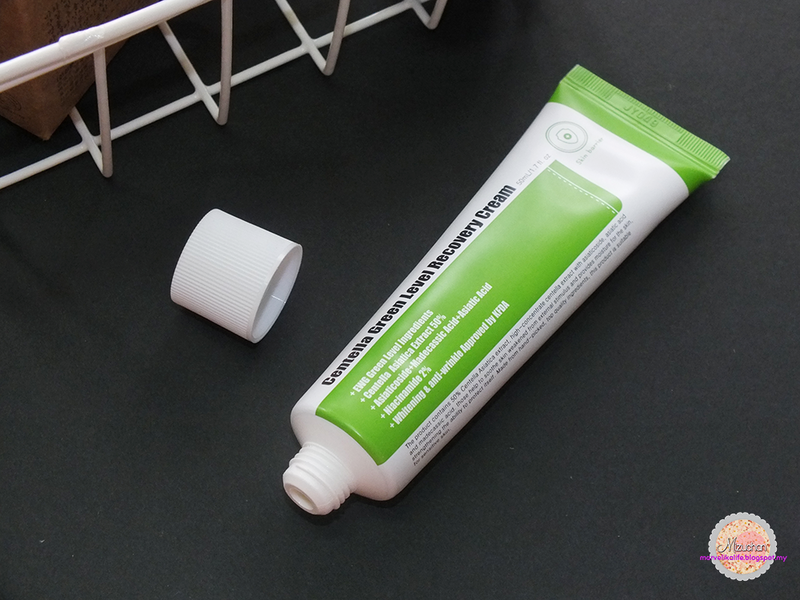 Instead of water, the cream contains Centella Asiatica Extract as the first ingredient!Yeay! 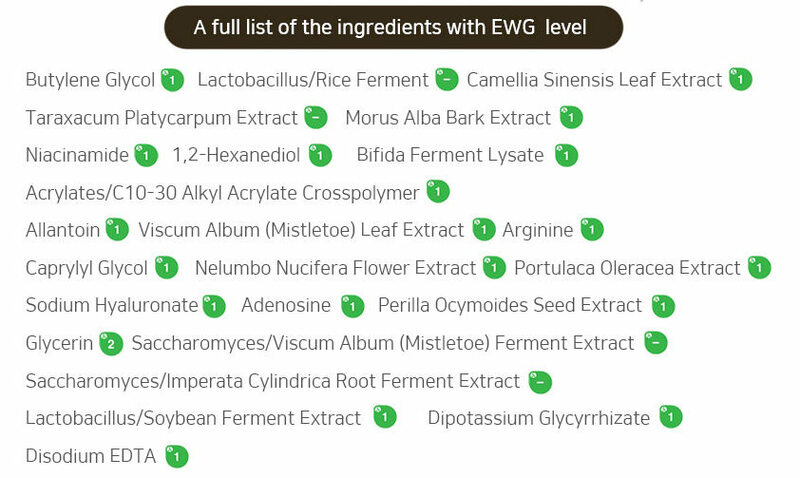 And as you guys already saw from the three products, all of their ingredients are a green level which means it is safe for the skin even for sensitive ones! 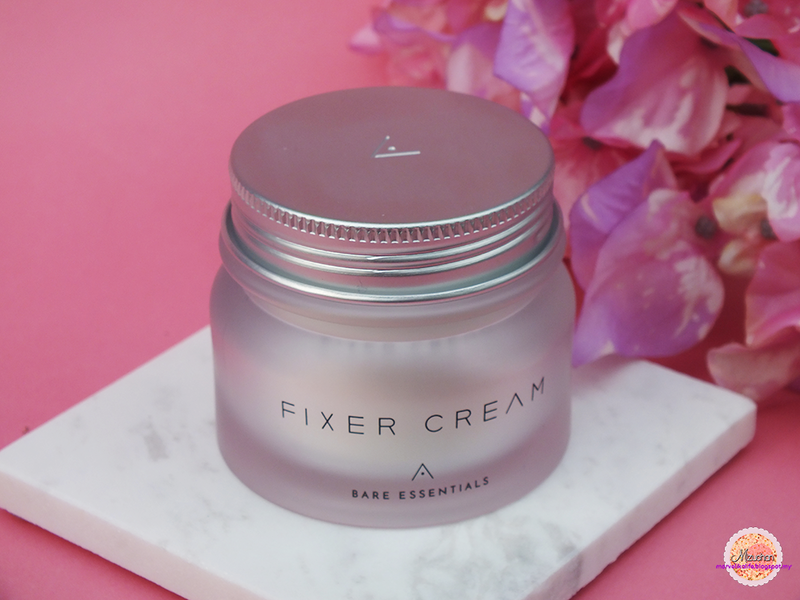 The cream has the similar scent to the pad and I believe it came naturally from the ingredients. 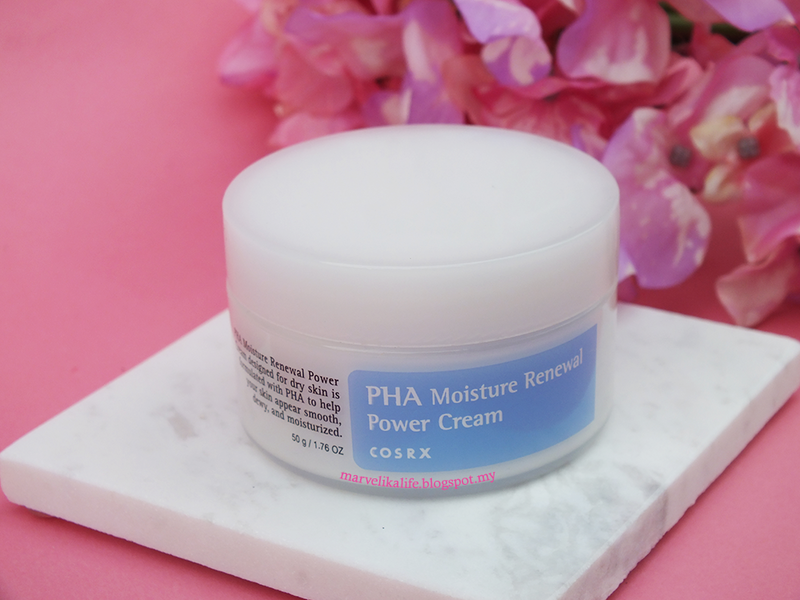 The cream is lightweight and provides full moisture to my skin, plus, it is not tacky at all. 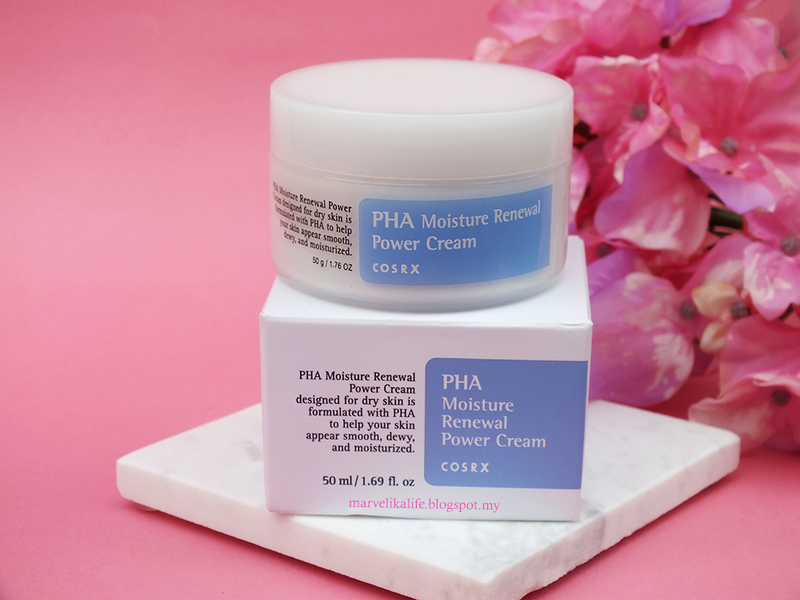 On the first stage of using this, I actually used it all over my face and I would not recommend you guys to do that because it will run out fast like mine XD So I recommend this cream to be used only on affected trouble areas like redness, newborn pimple or even any areas that you feel it needed this cream. Nowadays, my affected areas are always on the side of my face where I lied down the most when I'm sleeping. 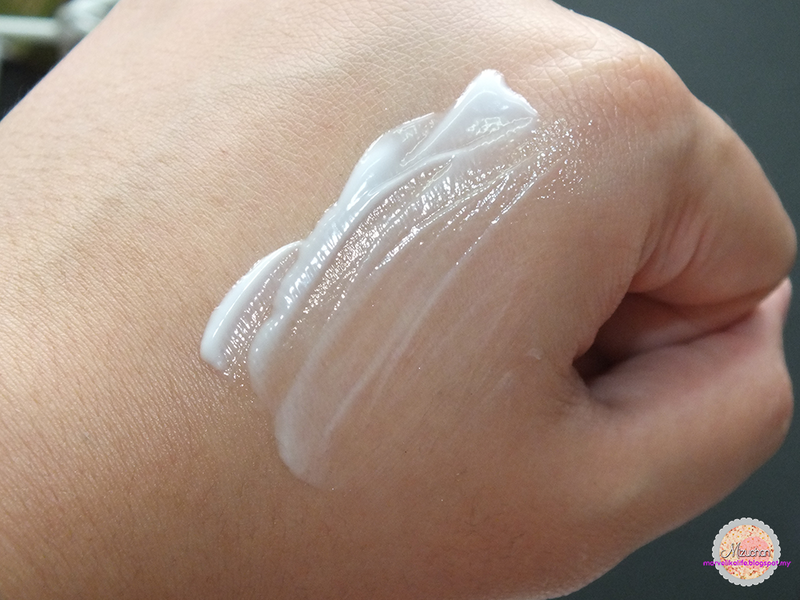 That can't help because my skin is sensitive to friction and sometimes it also hurts because of those moisture-sucking cleanser that I tried so I try applying this cream and the hurting gone overnight! 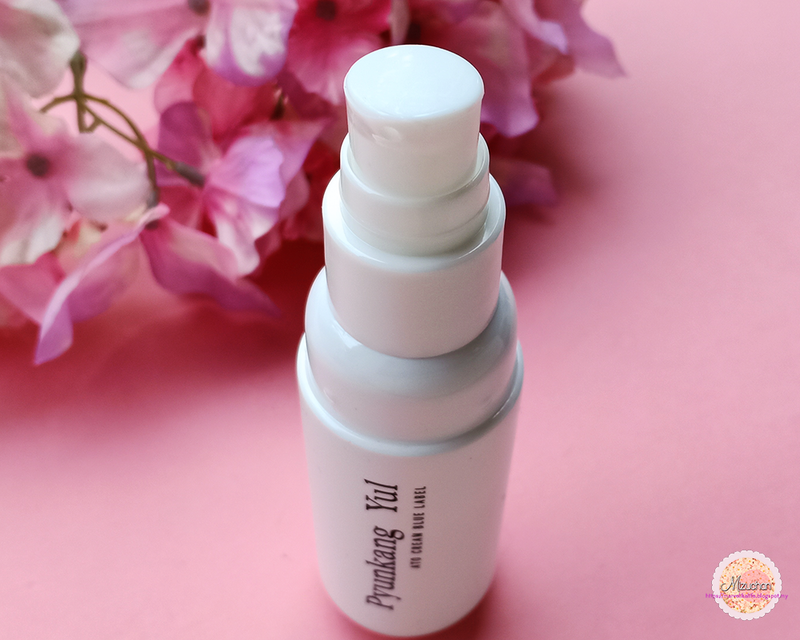 I also applied on parts where my skin is "angry" or inflamed/redness and it works wonders! Sorry for the different color on both picture because one is captured early morning and the other were captured on golden hour. 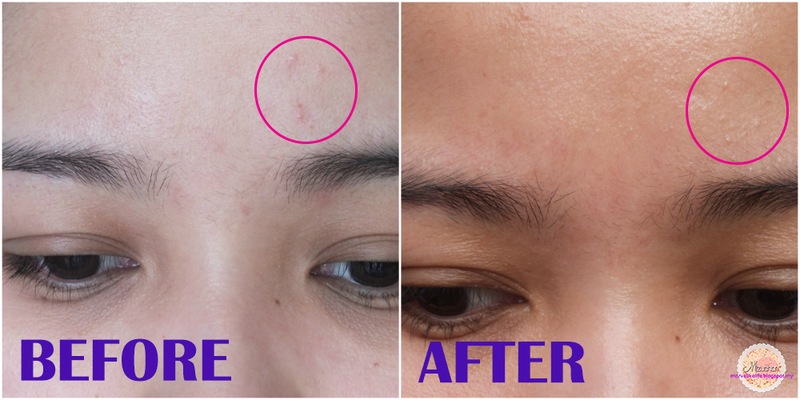 However you can see one of the example that I managed to take with my camera is this red pimples on my forehead that calms down after using the cream for three days. 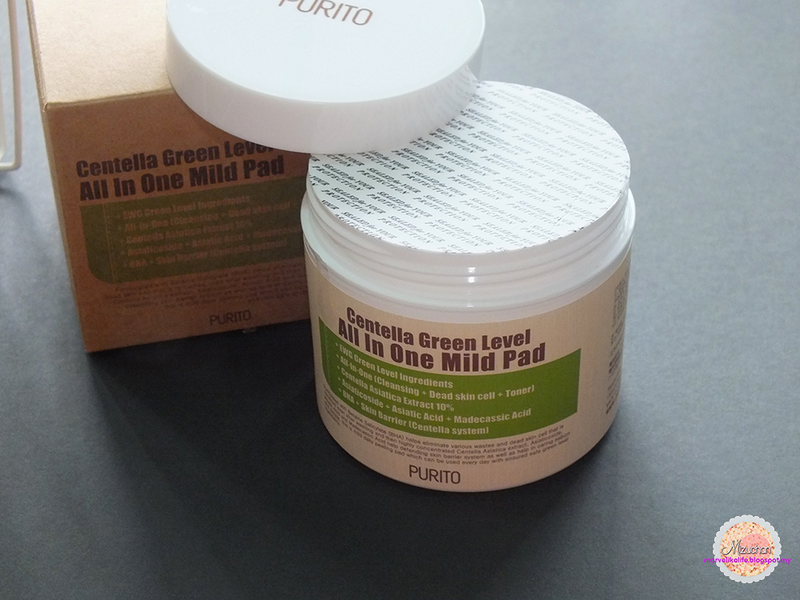 On the end note, I am satisfied with all three products that I tried from Purito because aside knowing that it is safe, it suits my sensitive acne skin and it also works! I would recommend you guys to check out this brand! They are also available on ebay if you're keen on purchase :D and by the way, you guys can read more informations of all these products on their website and it is in English! 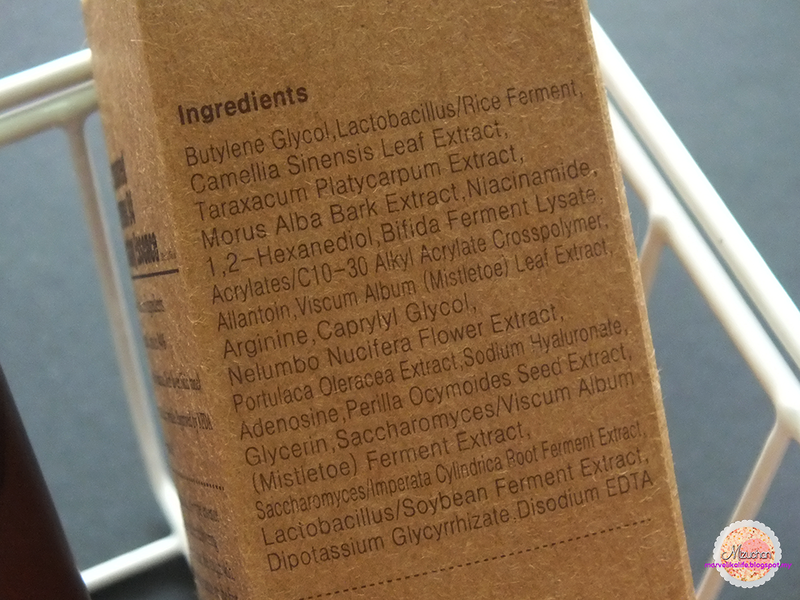 The ingredients benefits that I may not able to explain properly might have been written in the website instead. It's worth a read! 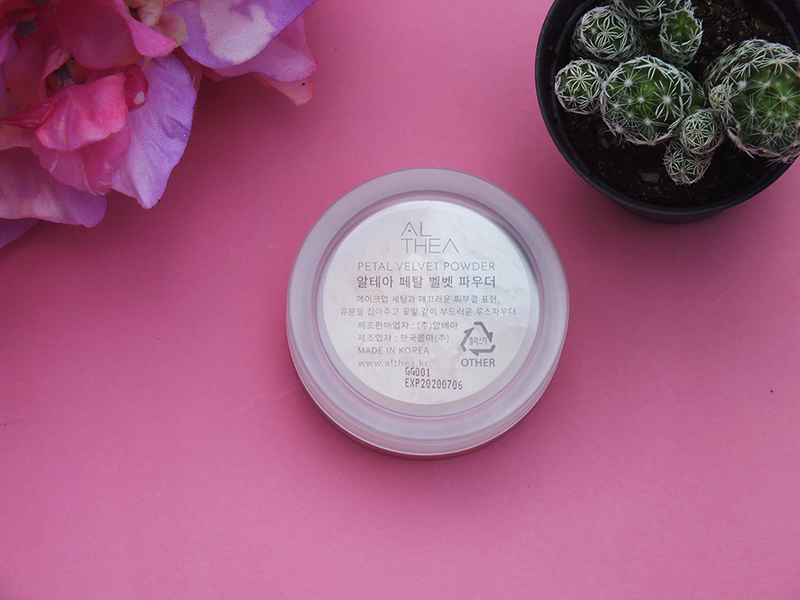 So today I'll be reviewing this NEW Althea Petal Velvet Powder from althea.kr and it is also their first ever product! 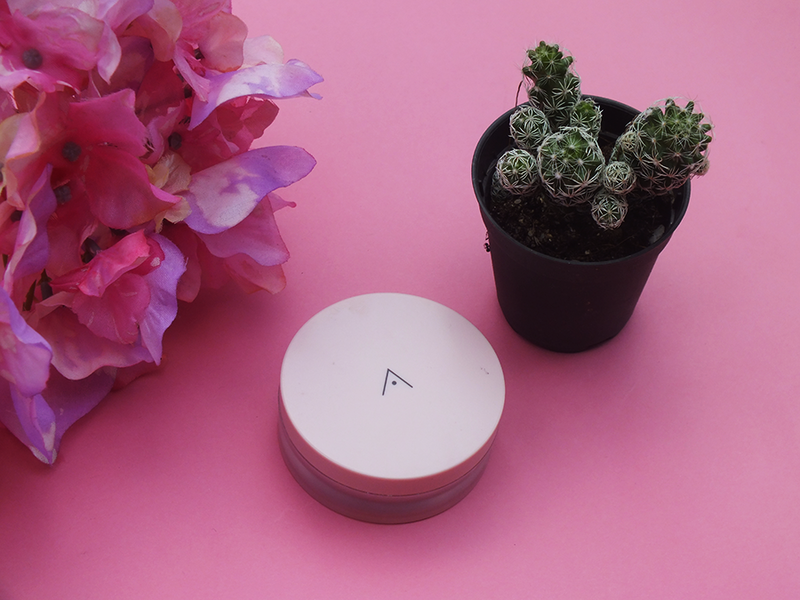 If you see the photos below, you would already guess on how much the powder left, because I've been using it ever since I've gotten it. 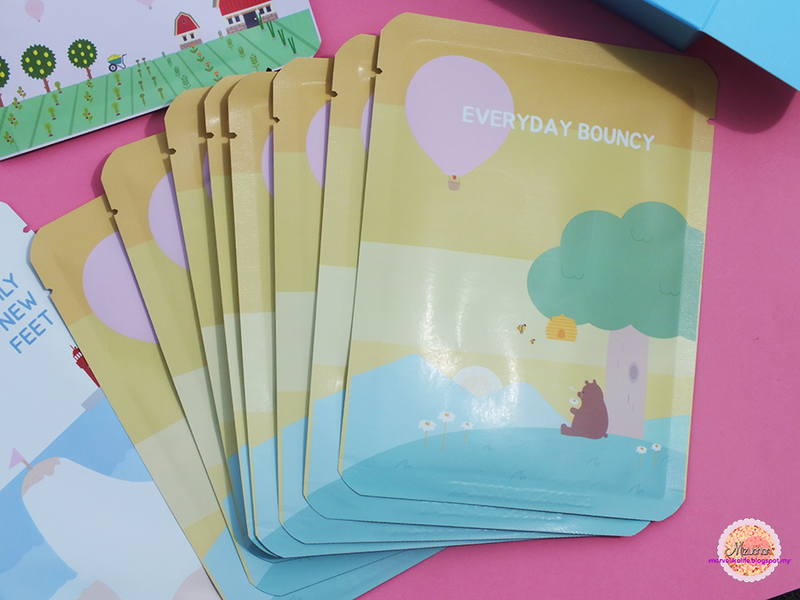 Size: 3g / Price: RM16 / Color: translucent, for all skin types. Can you see on how much it already left inside? 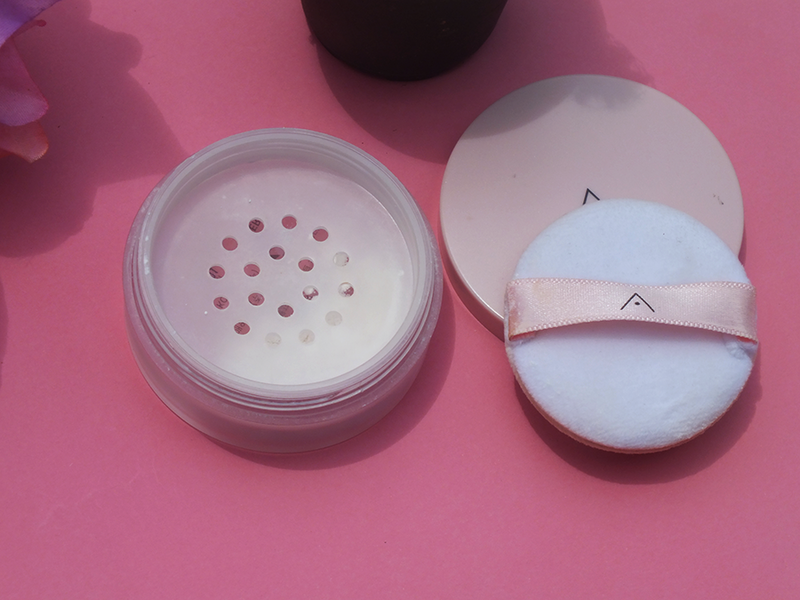 One thing that I like with this packaging is that the "holes" are pretty big if compared to some "popular k-brands" powder and this makes it easier for me to let out the product on the cap and dab the powder from there. 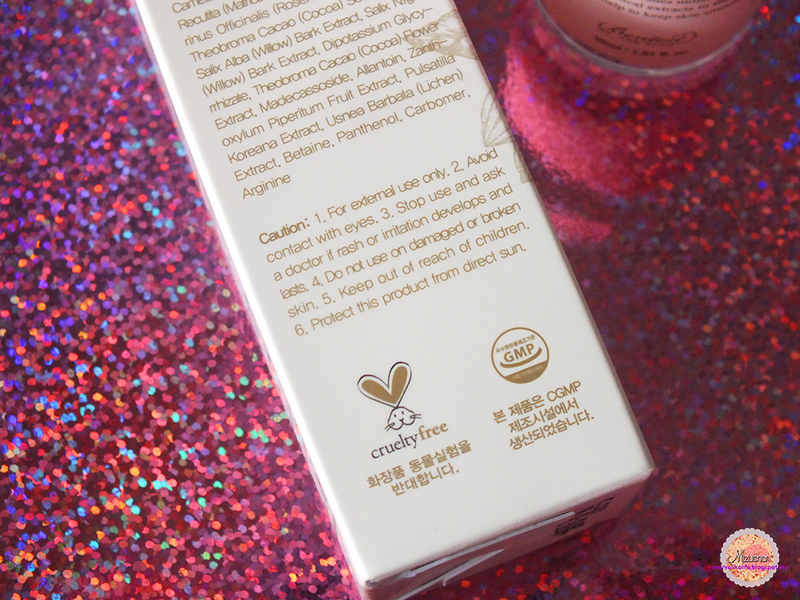 When I first test it out, I was surprised on how silky the texture of the powder! 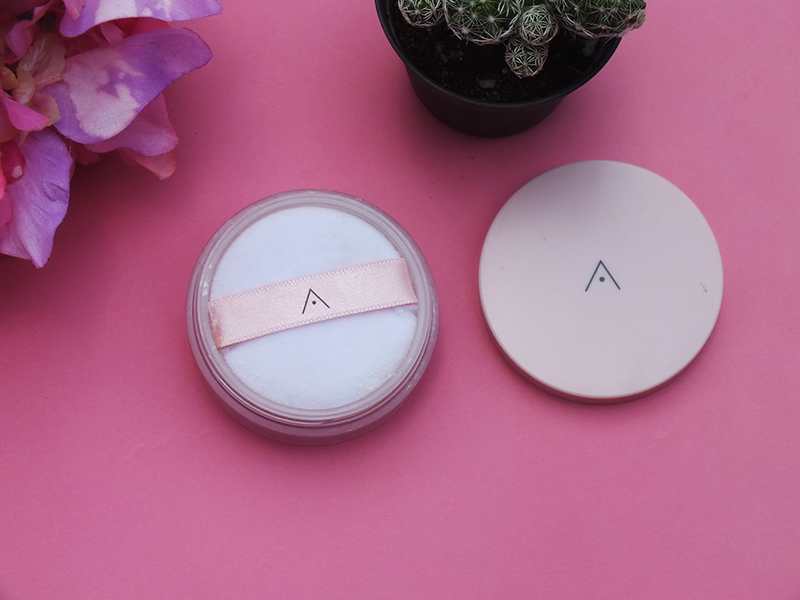 I never use a powder that was as smooth as this and I was totally mind blown! 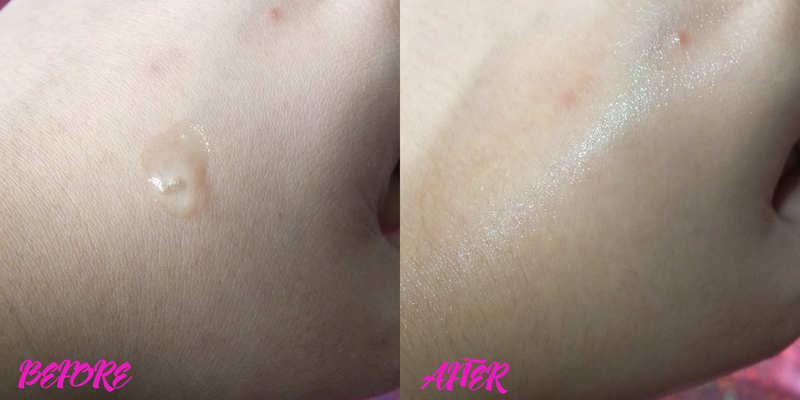 The powder is very lightweight and it was almost translucent in color because even though it is claim as translucent, but if you put a little too much, the white color will show through on the skin, although not much. There's a little flowery scent too it which the smell is not overpowering and smells really nice! I do notice that using it for some time now has changed the scent a little, which I think it may be cause my mixing of cosmetics. 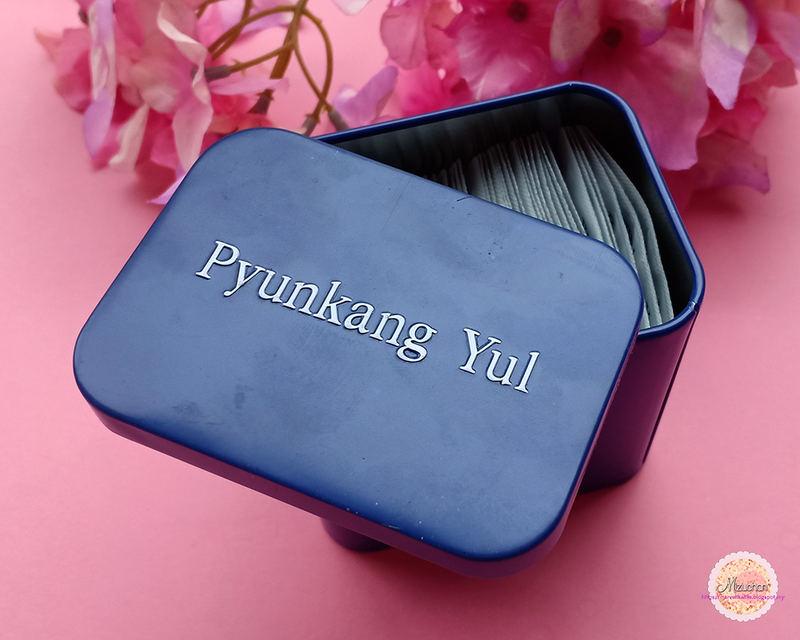 The powder itself is very easy to apply and spread easily with the puff. I tried both brush and the puff and honestly, the puff did a great job rather than my brush so I like using the puff better. 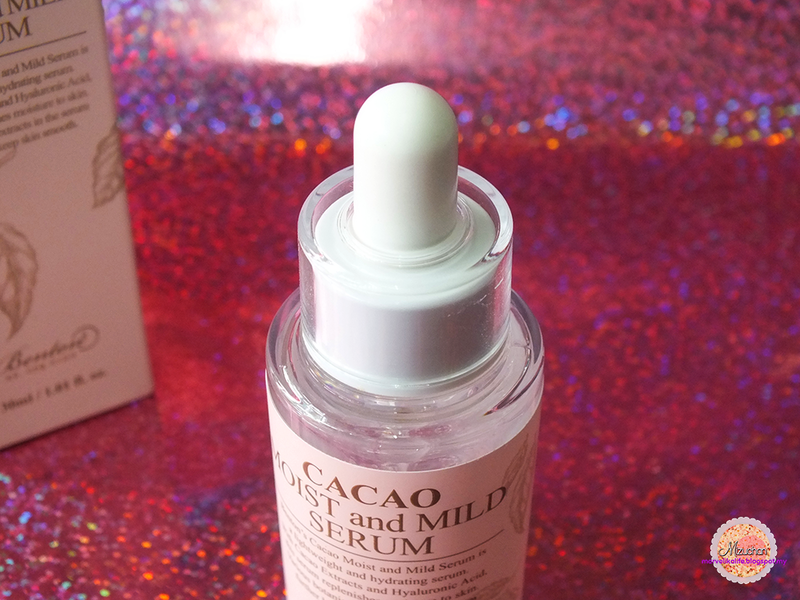 It does keep the oil away for my oily skin for a few hours, maybe about ~4 hours until I see a little sebum on my forehead and around my nose and so far, it doesn't break me out at all although I sometimes would have it on face for a long day! Be sure to watch out for creasing because it would crease after a few hours especially when the area have crease and sebum. Overall, I think it was a nice powder and it was so cheap too! They would have this even in the lower price for a discount event sometimes so watch out! 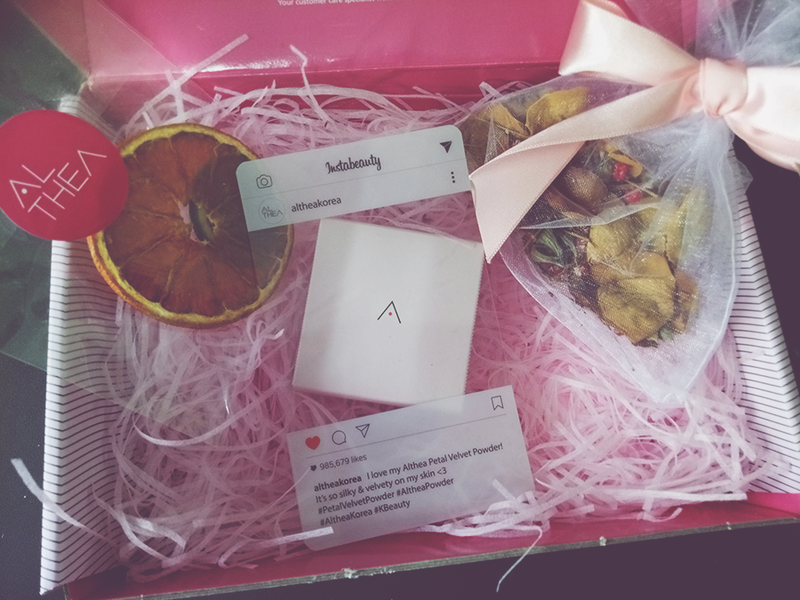 Thank you for reading and here's a photo of the box that althea.kr sent to me and just look inside! It's soo cute and smells good too! Sorry I haven't been posting for some time. I've been to Indonesia for my internship for two months so this post kinda delayed about that long. 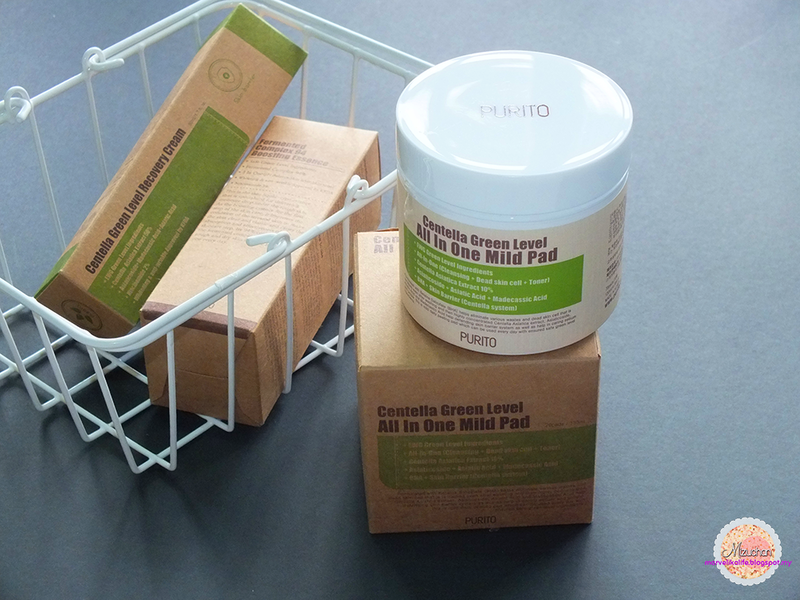 Anyway, I'll be reviewing this mask bundle sent to me by Q-depot.com as review purposes. 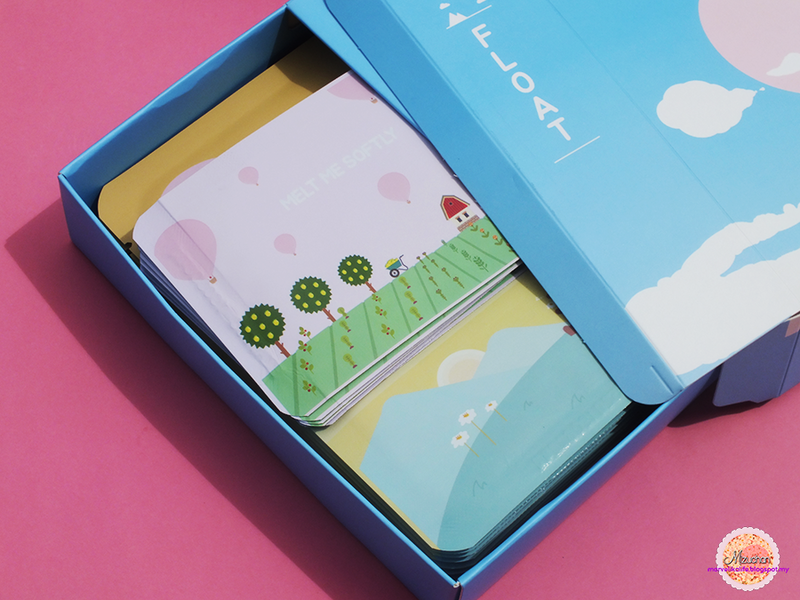 If you didn't know, Q-depot.com is a Korean cosmetics online shop that sells particularly Korean cosmetics including Korean skincare and Korean makeup. Check them out because they have over 1000+ products on their site. So let's start with the consolation mask since I'm most excited by these! 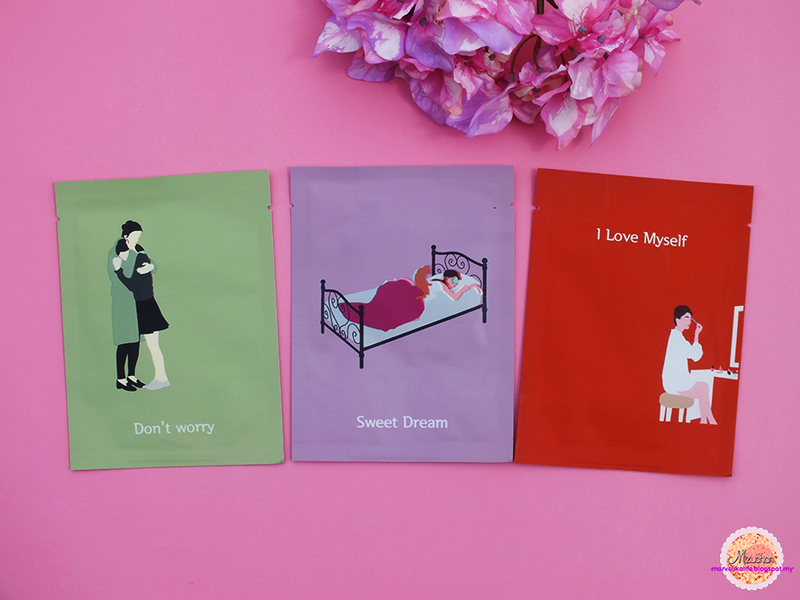 There are three types of the consolation masks which is "Don't Worry - for trouble skin", "Sweet Dream - acne, wrinkles" and "I Love Myself - makeup booster". 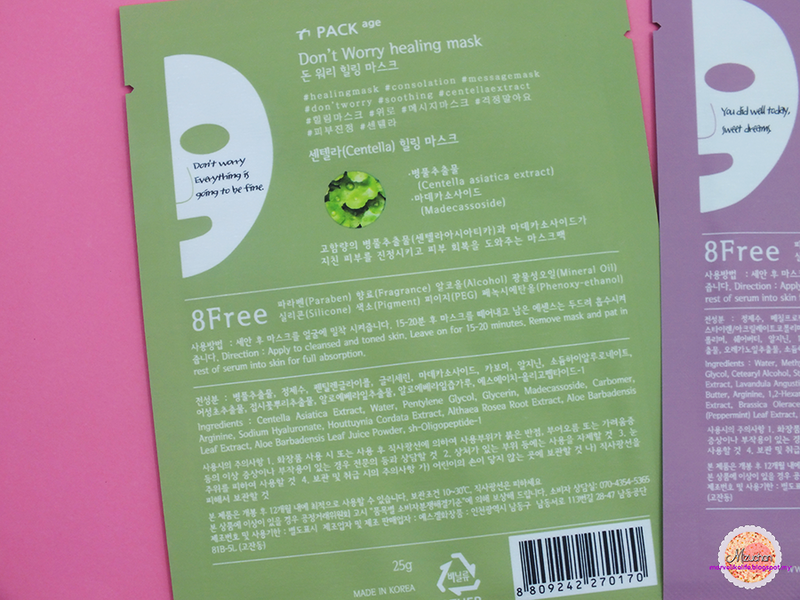 All of these mask contain 8 Free harmful ingredients. They are pretty much the same with mask fit, which is overall okay however I would like to point out the not wide enough mask. 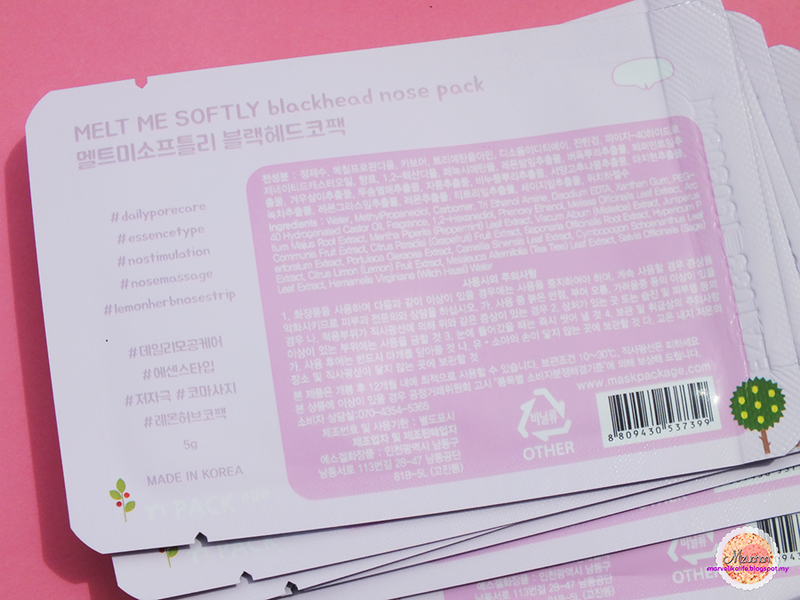 The mask sheet is verryyyy thin which makes it a little tricky to spread it and the essence is quite runny but abundant. 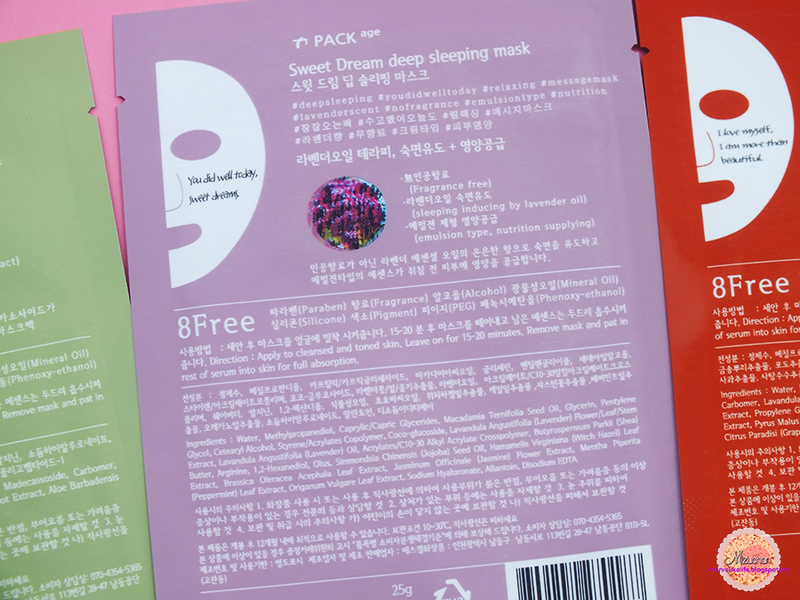 Out of three, I only tried two so far which is "Don't Worry mask" and "I Love Myself mask". I wore this mask when I had quite a terrible breakout around my cheeks where it hasn't been this irritated for some time and I do find that the mask does lessen the redness and calm the irritation. It does feel a little sticky after the essence dries off. Anyway, there's a little mint scent with this blackhead mask and it feels cool on touch. Honestly I'm a bit skeptical about this blackhead mask since blackhead, you know, is kinda hard to disappear with only a mask, although I don't have that many but I can still see the blackhead after I'm done with the mask but nevertheless, it did brighten my skin which I like. I think this would be great after you extract those things from nose and this would makes your pores smaller. 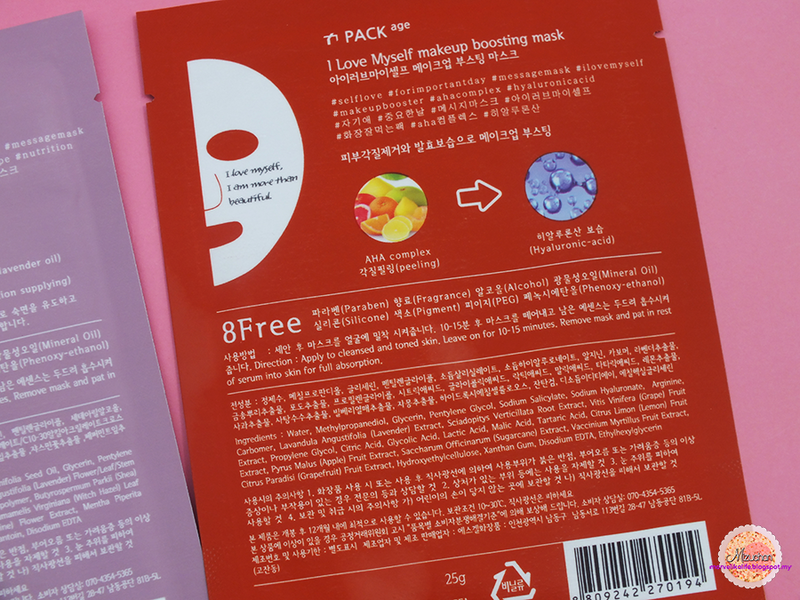 As I said before, I have tried this mask even before this package and lovin' it. 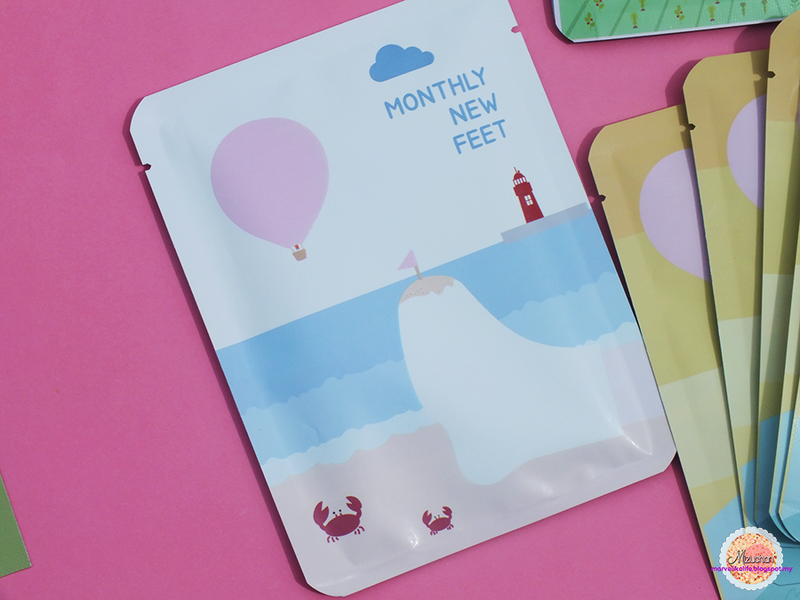 It does feel a little sticky like other PACKage masks and this does have a herbal scent to it. What makes me like it so much is that it would make my face appear brighter. I haven't tried this yet but I'll update once I do. Anyway, thanks for reading! 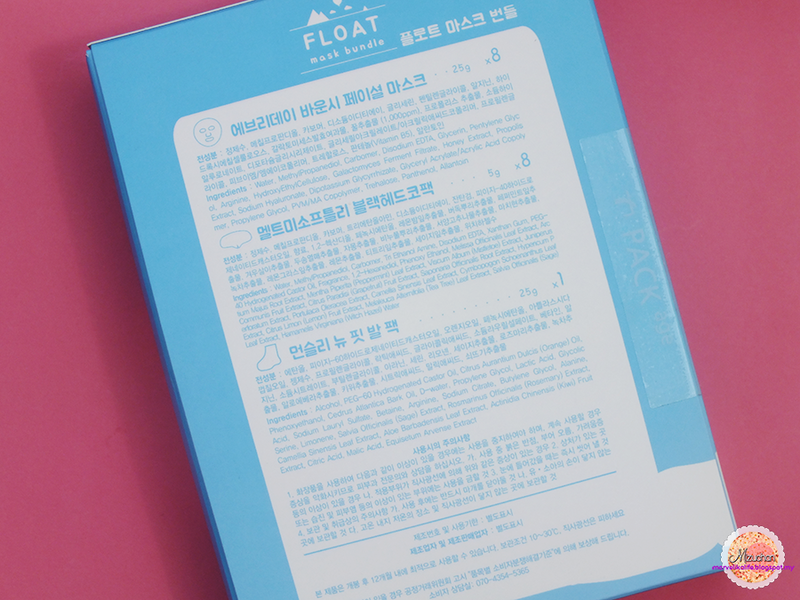 I'll make sure to update for those two masks I haven't tried yet but so far, I can conclude that PACKage masks is worth to try especially if you like brighter skin (I have dull skin, that's why). 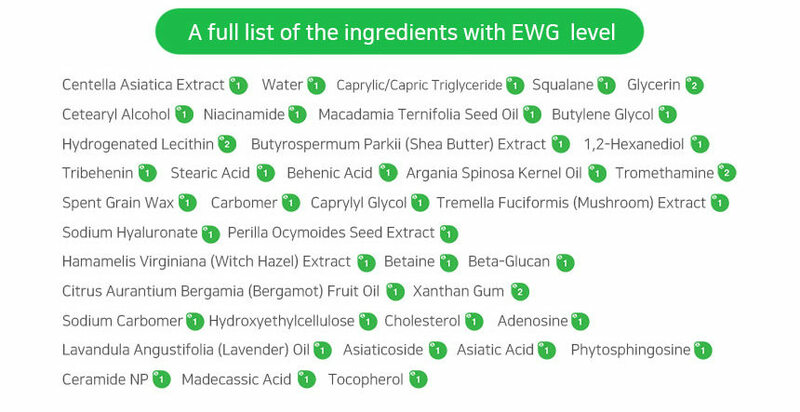 It also free from those nasty ingredients in the market and totally safe for your skin. 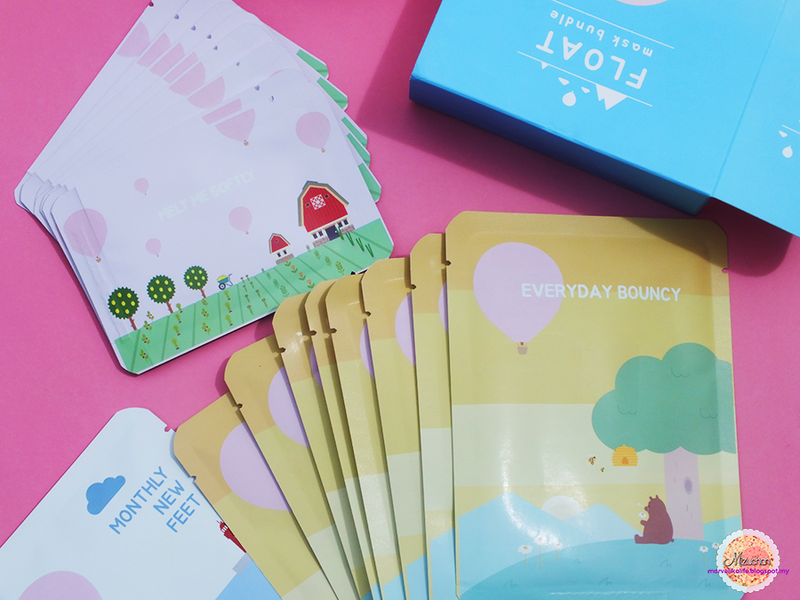 Celebrate Raya with Althea's Raya Giveaway Festival! Have you guys got your Raya makeup yet?! 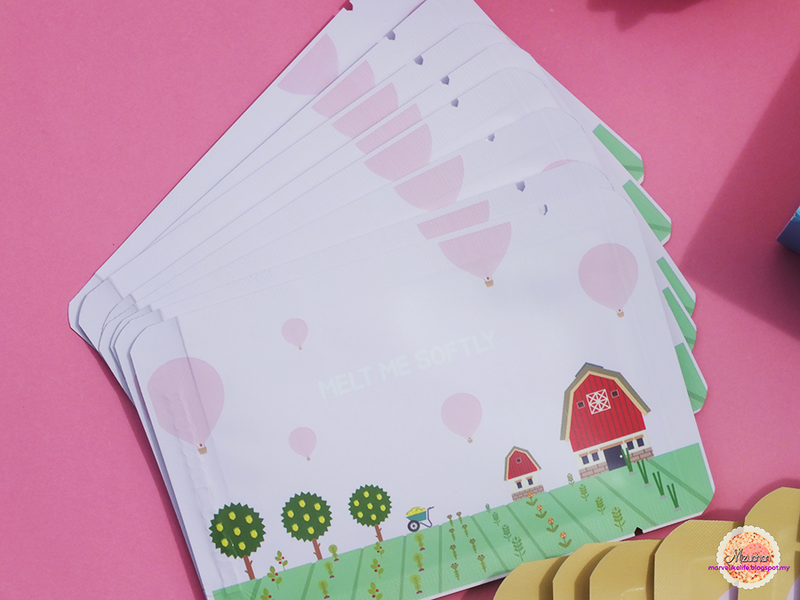 I'm so excited to announce that Althea is giving away one free product per customer for Althea's Raya Giveaway Festival! Yes, you heard that right! Event start from 1st June until stock last! 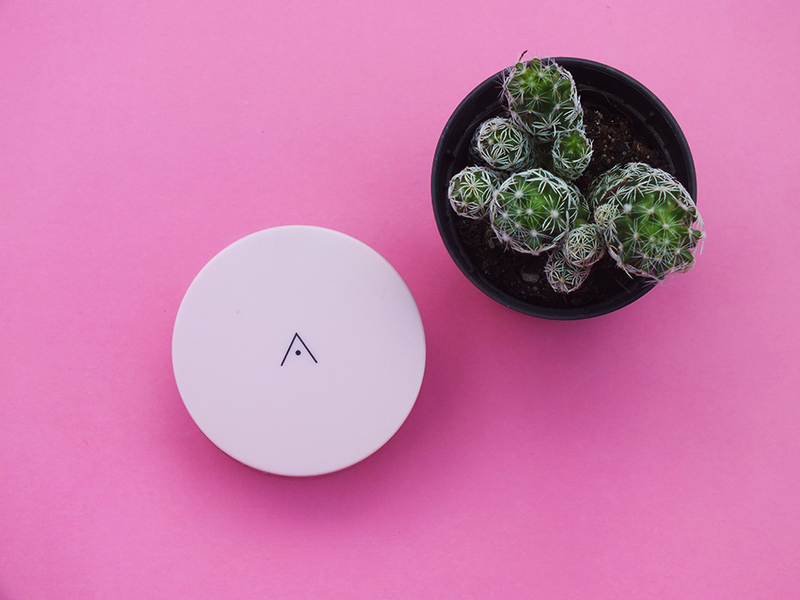 Go and shop now at Althea.kr App for both Android and iOS or at their website. 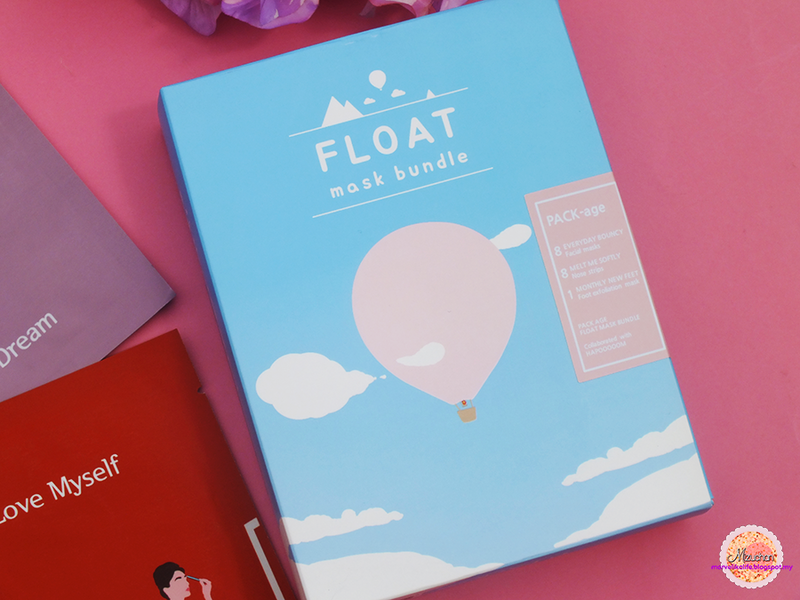 The shipping is free for purchase over RM99 including the Althea's Limited Edition Raya Box!! Now I'm going to choose some for myself!